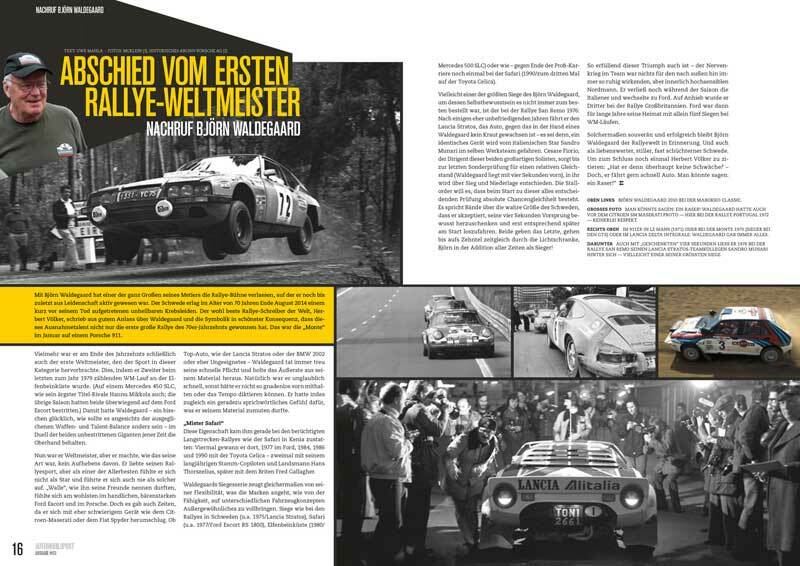 Ford versus BMW, Mike Kranesfuss versus his former boss Jochen Neerpasch. 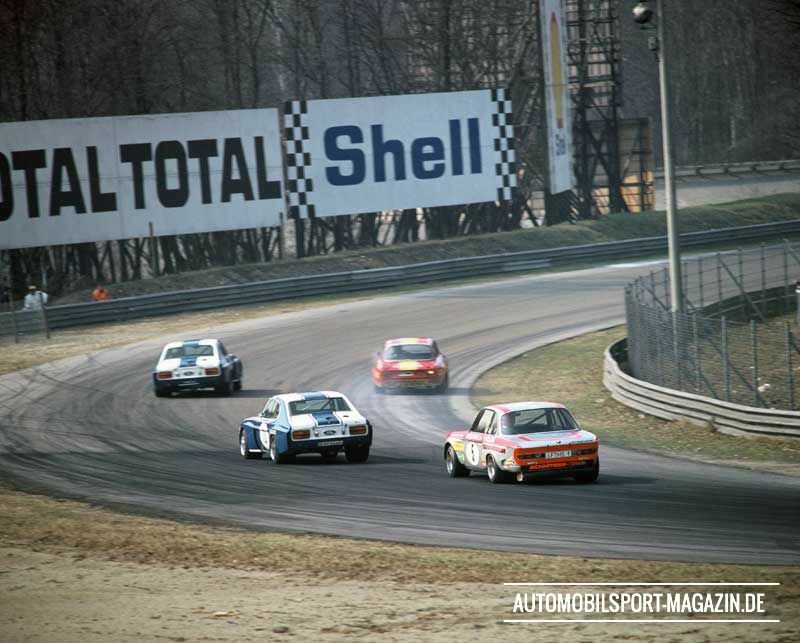 The all-German manufacturer duel for the 1973 European Touring Car Championship, with support from Alpina and Schnitzer in the large division and an Alfa/Ford squabble in the small division kicks off at Monza with two surprises: in from of 40000 slightly bored spectators only nine cars make it to the finish, and the race is won by a plain-white Alpina BMW Coupé, void of sponsors stickers. 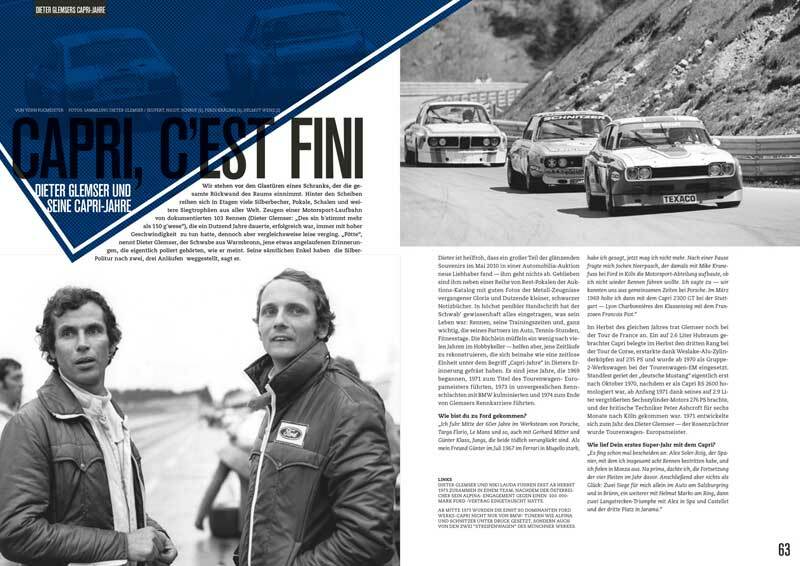 Niki Lauda and Brian Muir are behind the wheel of the winning BMW CSL, just two of the well-known drivers that make up an impressive superstar driver line-up, gigantic in both size and quality. 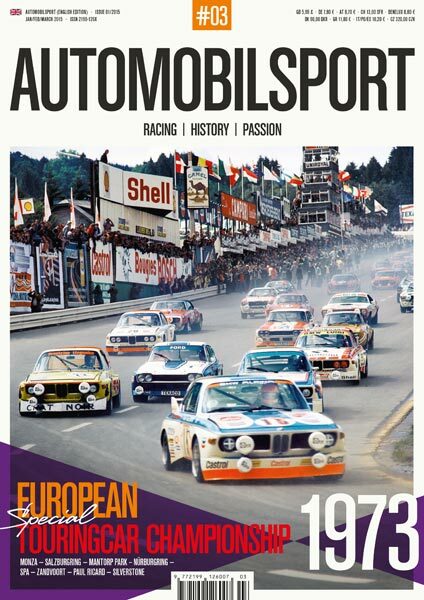 The A-Z of 1973 ETCC drivers includes Akersloot, Amon, Andersson, Basche, Bell, Brambilla, Colombo, C Cox Kocher, Dieudonné, Dini, Ertl, Facetti, Fittipaldi, Fitzpatrick, Glemser, Heyer, Hezemans, Hunt, Ickx, Kottulinsky, Krebs, Larini, Larrousse, Lauda, Ludwig, Mass, Mohr, Muir, Odenthal, Pescarolo, Quester, Ridström, Scheckter, Stewart, Stuck, Uriarte, de Vries, Weiß und Zeccoli. During the season, a topsy-turvy competitive environment develops, which leads to some thrilling races. 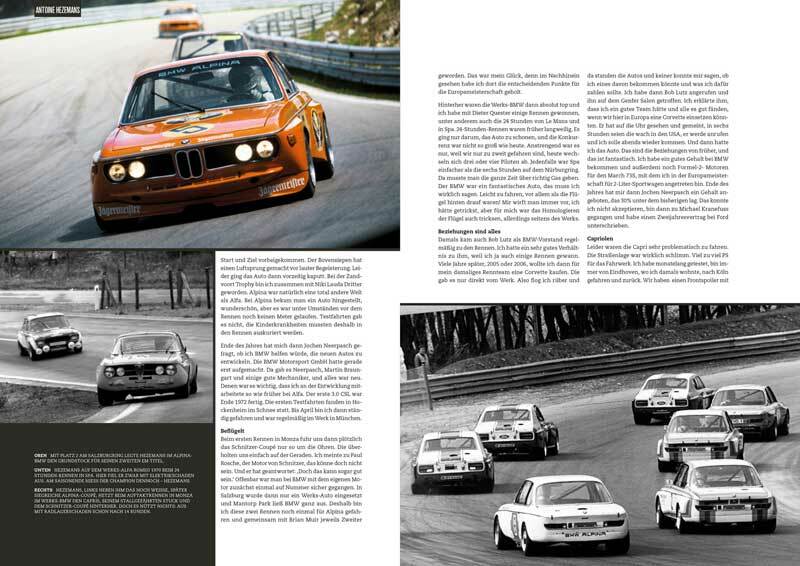 At the beginning, the works Capris are still superior, but the tide turns in summer when BMW cures its teething problems, and introduces a new homologation kit for its CSL model. 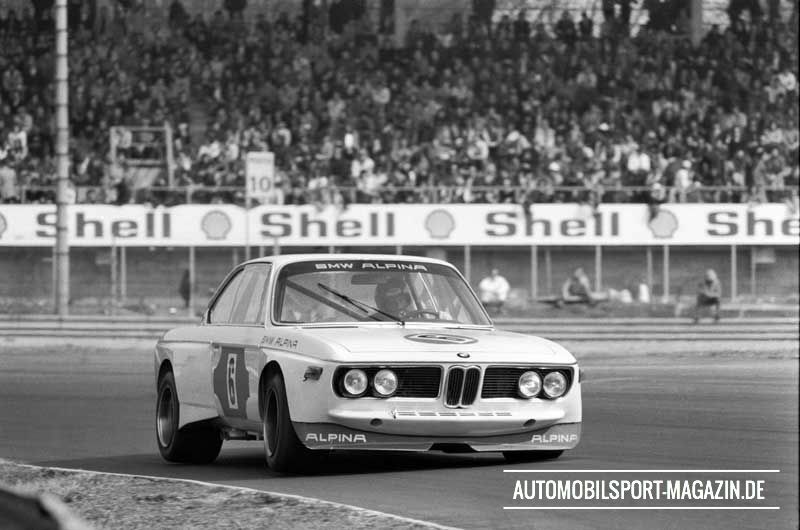 And then there’s the private Alpina Coupé, driven by Harald Ertl and Derek Bell, that seals the title at Silverstone – much to chagrin of Ertl, who has told Burkhard Bovensiepen he can shave his beard off if he wins. Bovensiepen wastes no time getting the razor out! 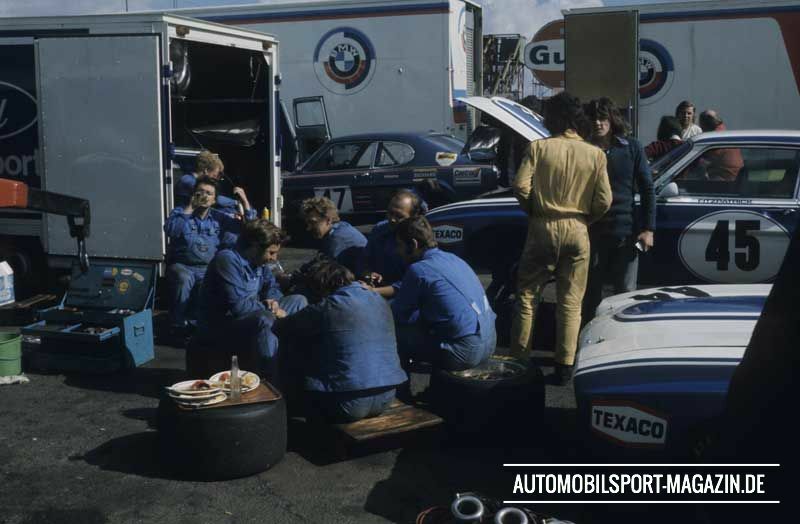 Before that final race, BMW already dominated at Paul Ricard: Quester/Hezemans and Stuck/Amon finish first and third, with the Alpina cars of Ickx/Hunt and Brun/Kocher second and fourth. 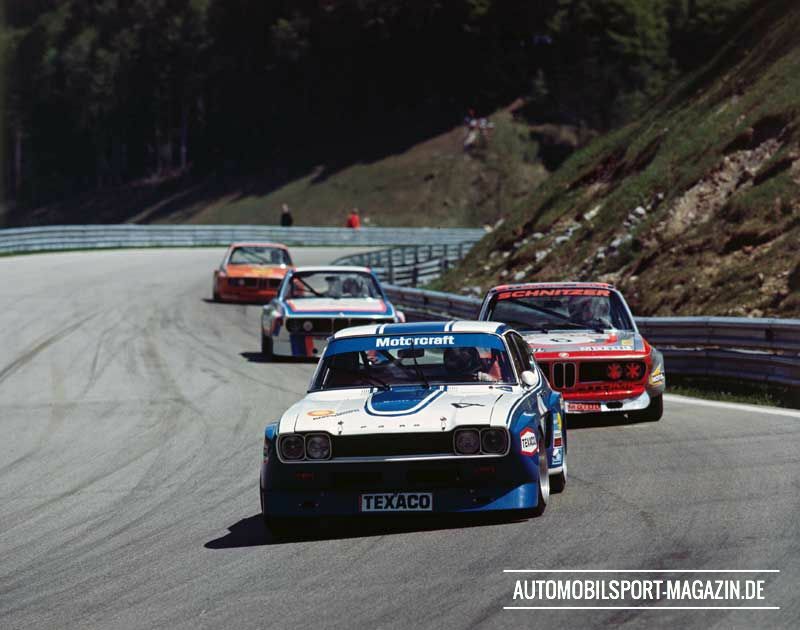 The best Ford was the Mass/Stewart Capri in fifth. 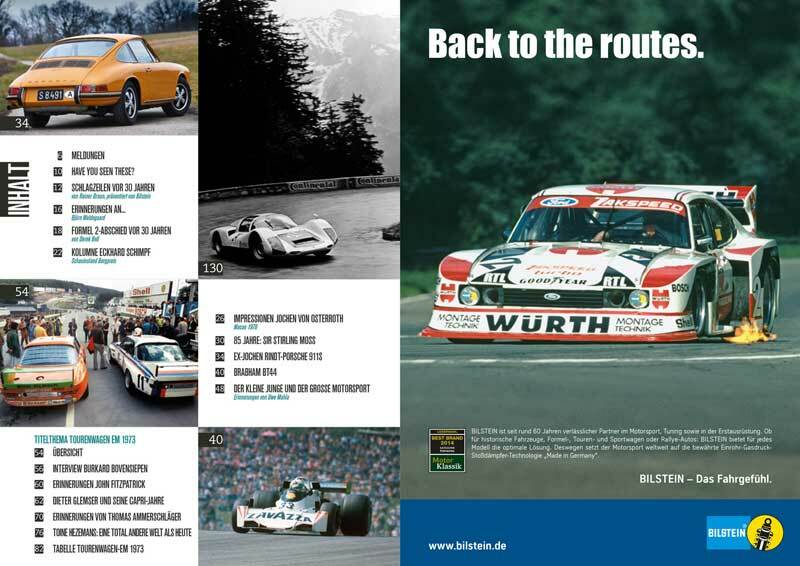 Over the following pages the Touring Car heroes of 1973, Toine Hezemans, Dieter Glemser, John Fitzpatrick as well as Alpina team principal Burkard Bovensiepen and Ford’s lead engineer Thomas Ammerschläger remember a true classic season of racing. 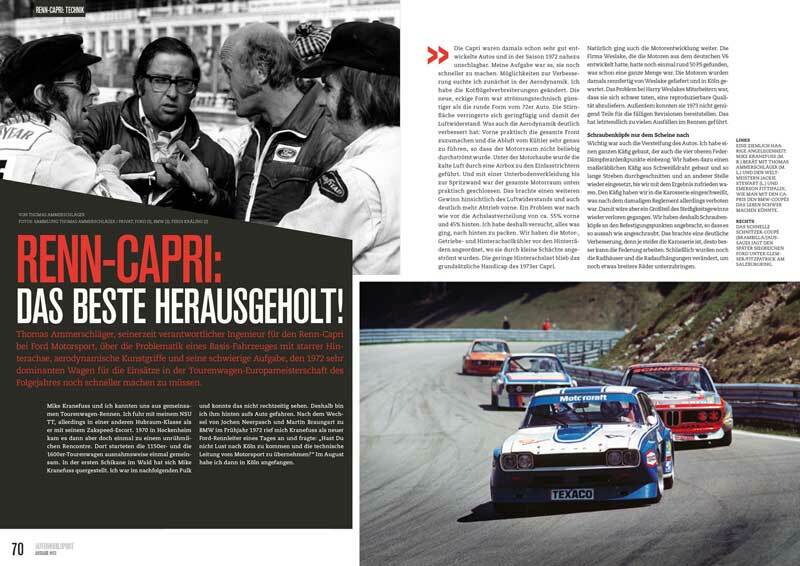 Thomas Ammerschläger tells us about the time when he was the responsible engineer for Ford Motorsport's racing Capri and about his adventures in the European Touring Car Championship 1973. 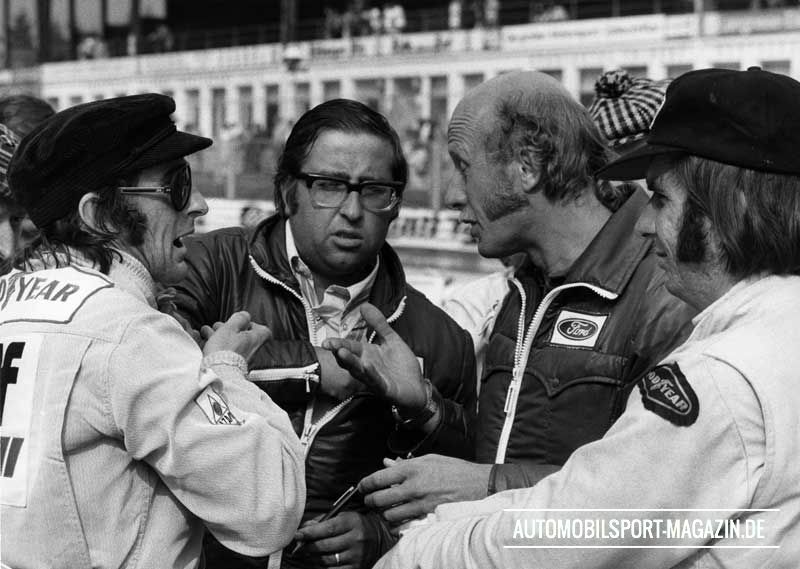 Anyway, when Jochen Neerpasch and Martin Braungart switched to BMW in 1972, Mike was made Ford's new motorsport manager. 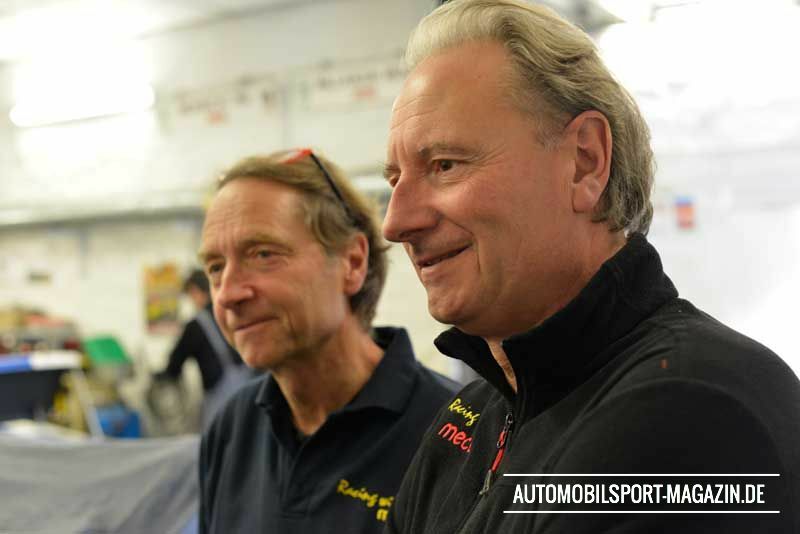 One day he asked me if I'd like to come to Cologne and take over the technical side of the Ford motorsport department. In August I started my new job. 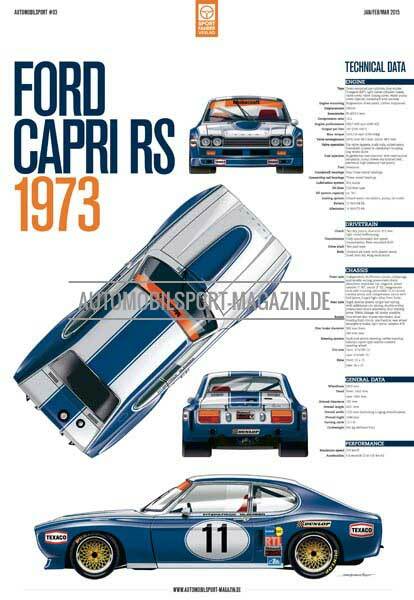 The Capri was already a well developed car at that point, in fact in 1972 it was almost unbeatable. My job was to make them even faster. 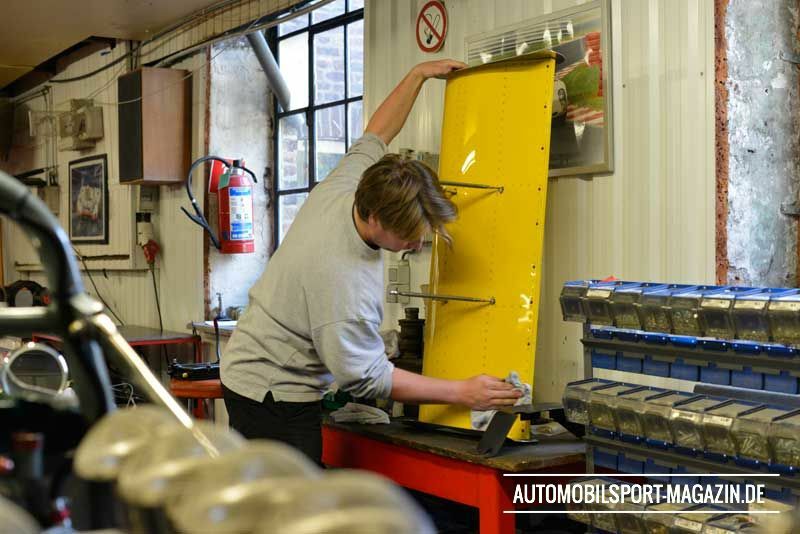 I looked into possibilities to improve the aerodynamics, which led to a change of the flares on the fenders. 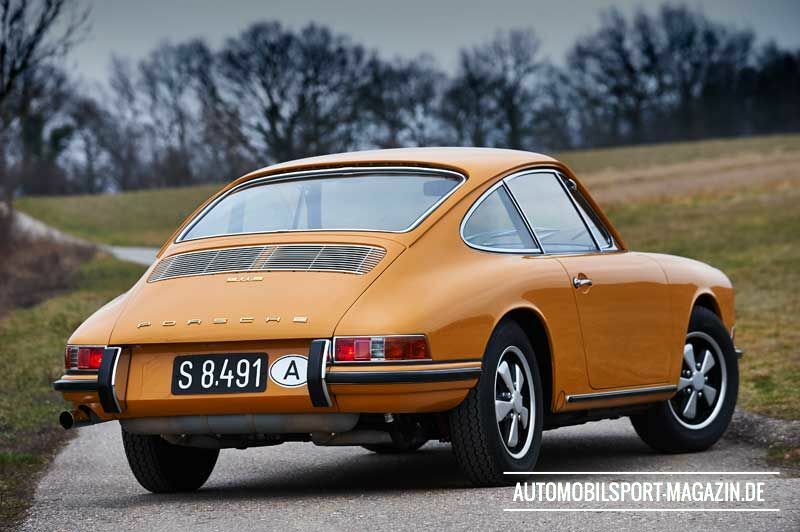 The new square shape was aerodynamically better than the round shape on the '72 car. We lowered the front of the car slightly to improve air resistance. 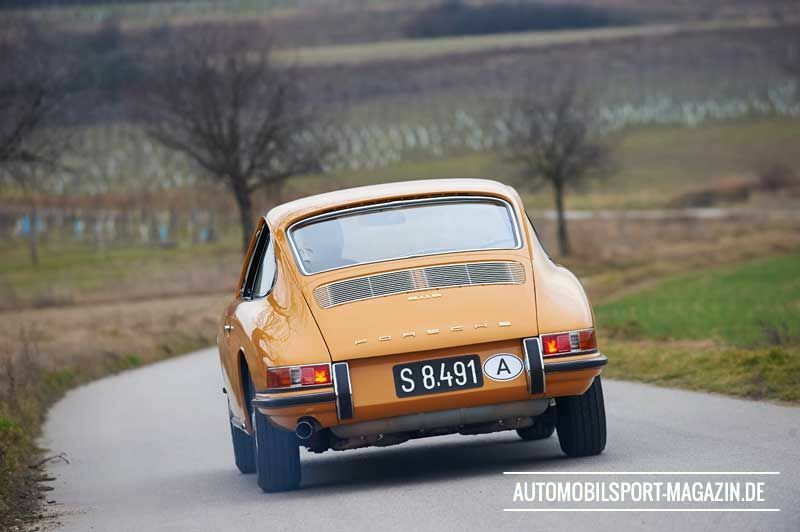 What also helped the car aerodynamically was practically closing off the front and precisely leading out the warm air from the radiator so that it didn't flow freely through the engine bay. Under the bonnet, cold air was passed through and airbox and into the intake funnels. And with a panel under the front right to the bulkhead, the whole engine bay was practically enclosed. That gave us a gain both in resisting drag and creating some downforce at the front. One problem we always had was the weight distribution of the Capri, which was 55 percent over the front axle and 45 percent over the rear. I tried everything to change that. 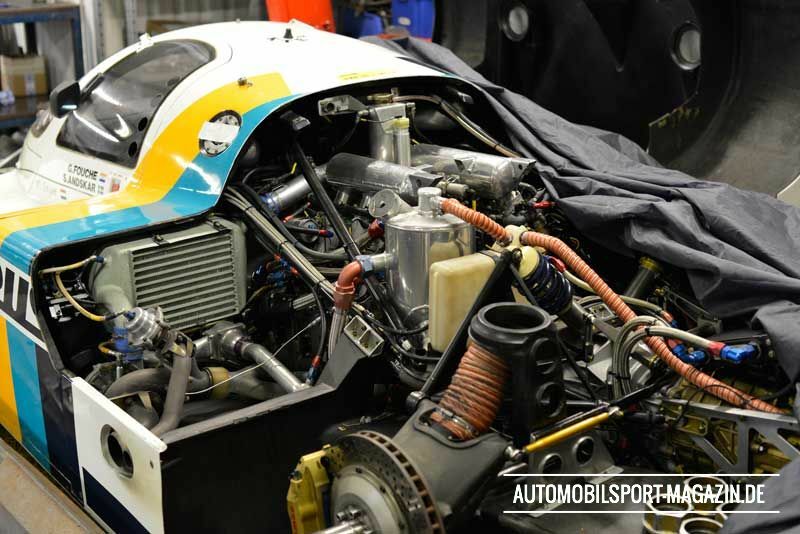 We even placed the engine oil cooling, transmission oil cooling and rear differential oil cooling systems in front of the rear wheels, flowing through small tubes. 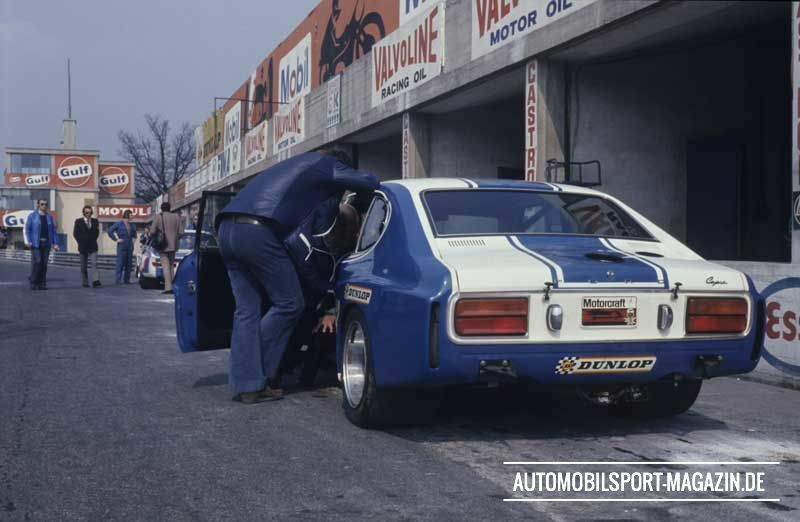 The low rear axle was one of the fundamental handicaps of the Capri. Of course engine development was ongoing as well. 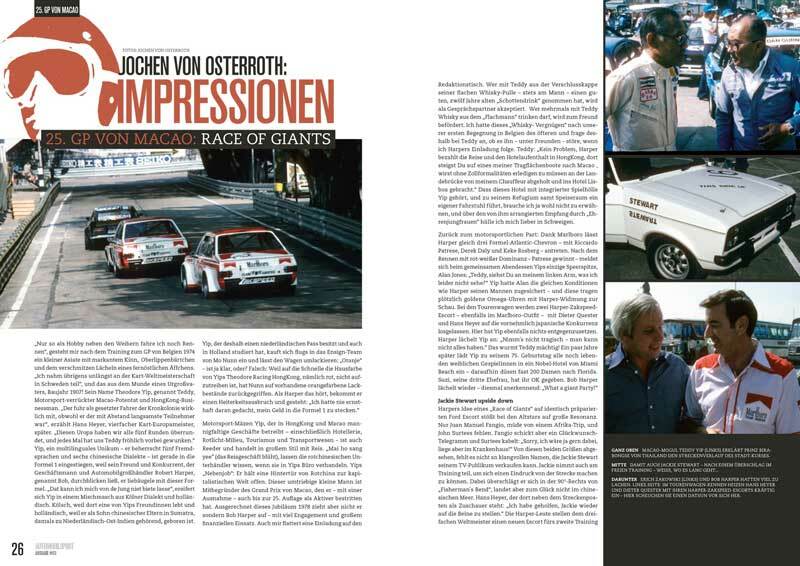 Weslake, who had developed the engine from the basic German V6, found another 50 horsepower, which was quite a lot. 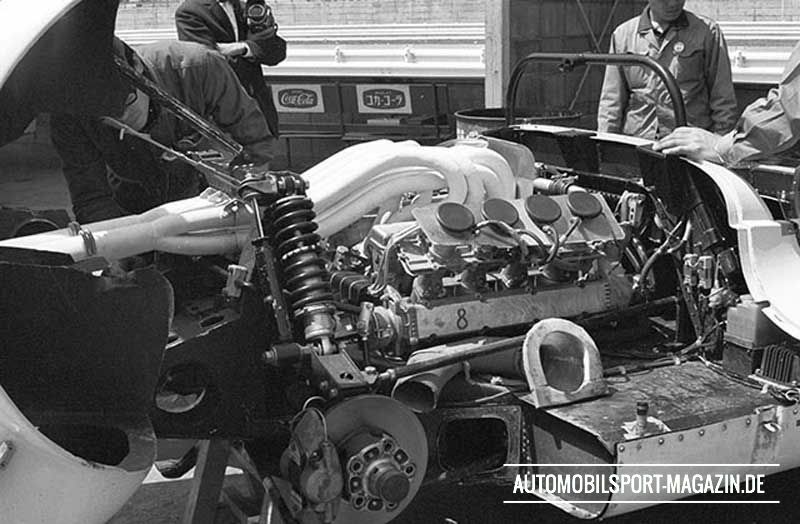 In those days, the engines arrived race-ready from Weslake and were then maintained in Cologne. The problem with Weslake was that they struggled to deliver a reproducible quality. They also struggled to provide us enough parts for updates in 1973. That ultimately led to a lot of failures. 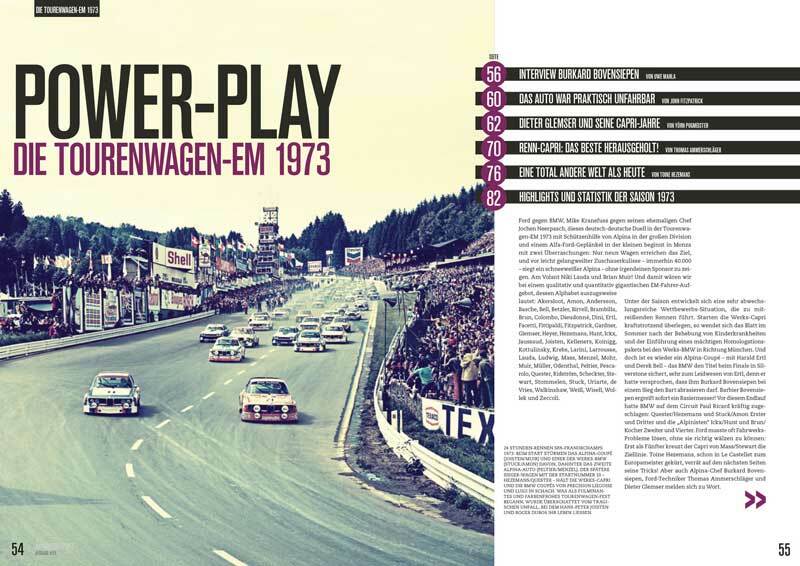 Dutch touring car ace Antoine Hezemans reviews his time in the European Touring Car Championship in an extract from Harold Schwarz new book 'Tourenwagen-Europameisterschaft 1970-1975’. 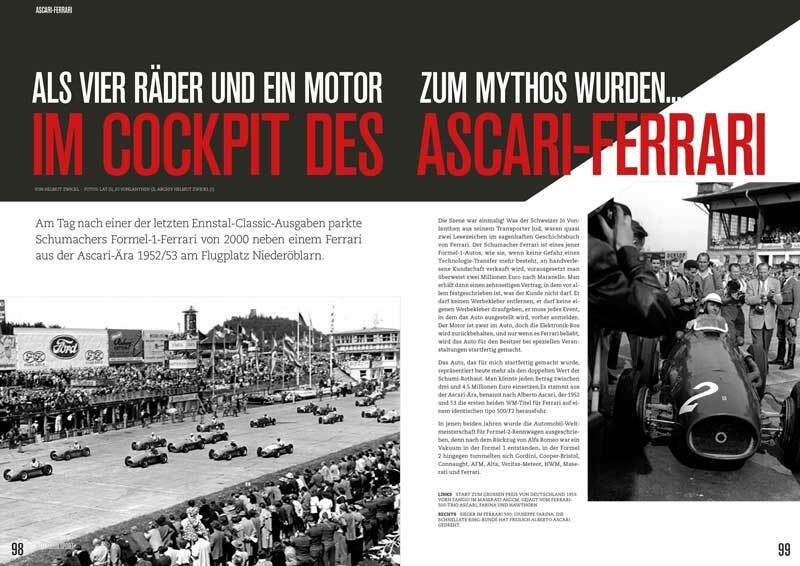 The book, published by Sportfahrer-Verlag and available from January 2015, covers the battles for the European touring car title between Alfa Romeo, Ford and BMW. 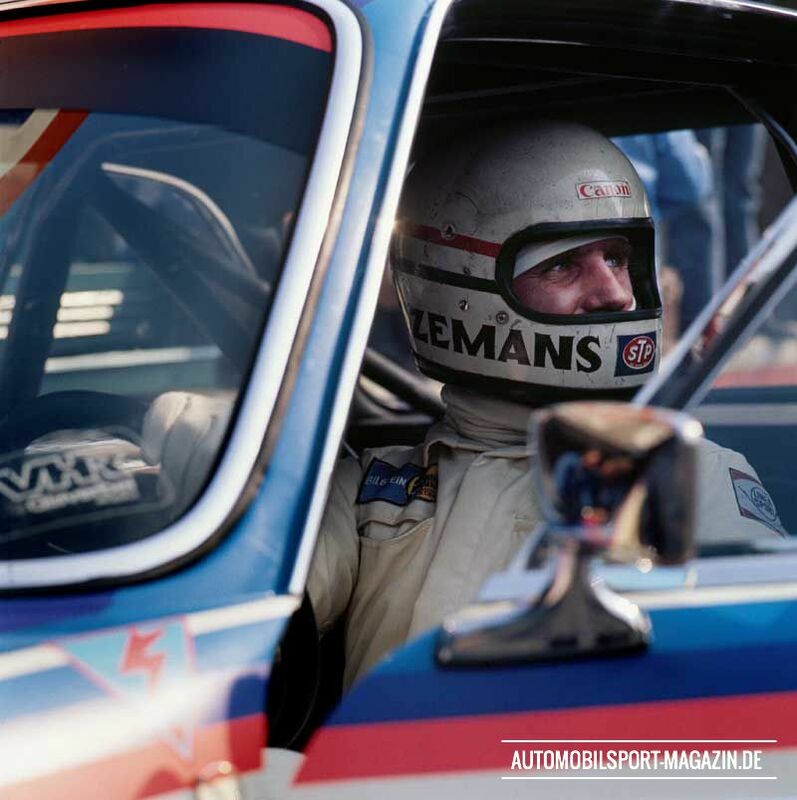 Formula 1 stars like Chris Amon, James Hunt, Jacky Ickx, Niki Lauda, Jackie Stewart and Emerson Fittipaldi - to name just a few - were all competing during the 1973 touring car season, along with the crème de la crème of touring car racing: Harald Ertl, John Fitzpatrick, Dieter Glemser, Jochen Mass and Hans Stuck. But it was Dutchman 'Toine' or 'Heze' Hezemans from Eindhoven, who conquered them all. 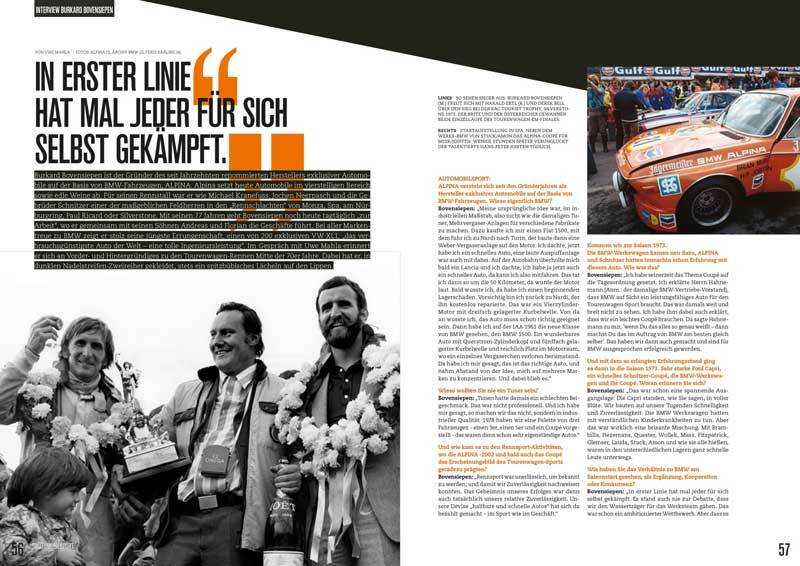 Here he tells us how he clinched that famous 1973 ETTC Championship. 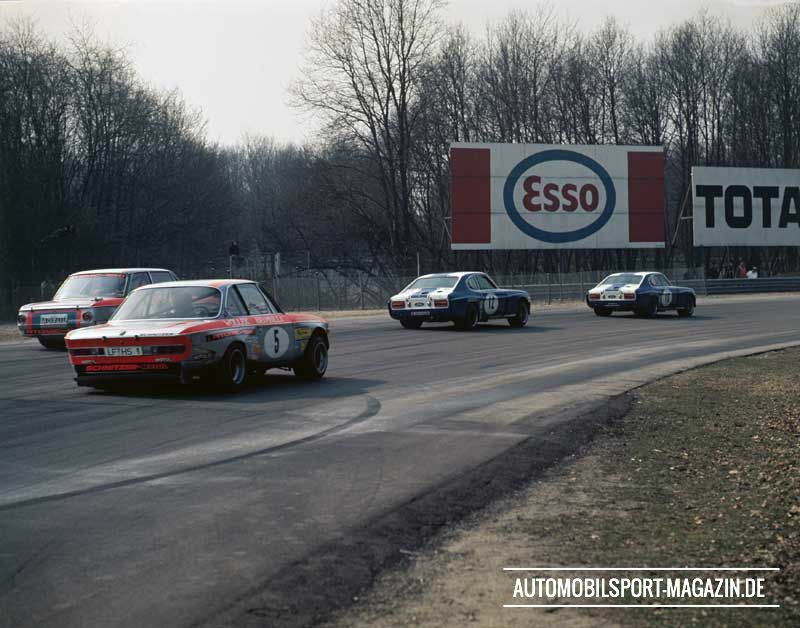 “In the beginning of the 1972 season the Alfa GTAm did not stand a chance against the Ford Capri anymore. 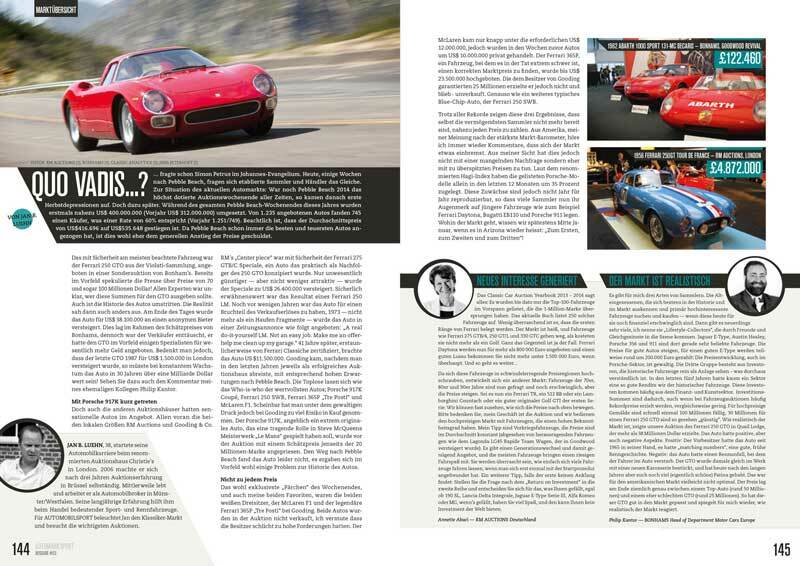 I stopped racing the GTAm right after the first race at Monza, even though I still had a contract with Alfa Romeo. I just did a few races in their sports-prototype after that. 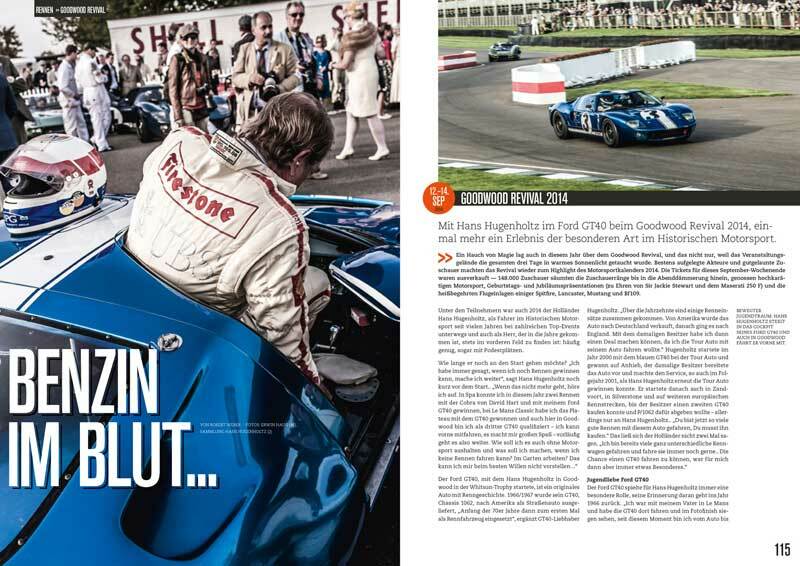 That was when Alpina approached me and asked whether I would drive their BMW coupé. 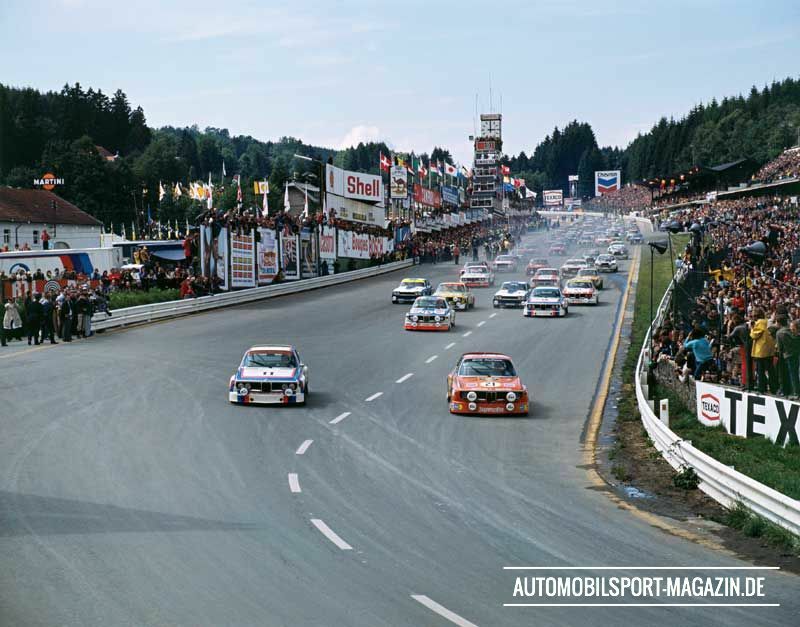 One memory that stands out from the Alpina days was the race at the Nürburgring. Coming from fifth on the grid I crossed the line leading after the first lap. Bovensiepen jumped with joy, he was so excited. But unfortunately the car did not make it to the finish. 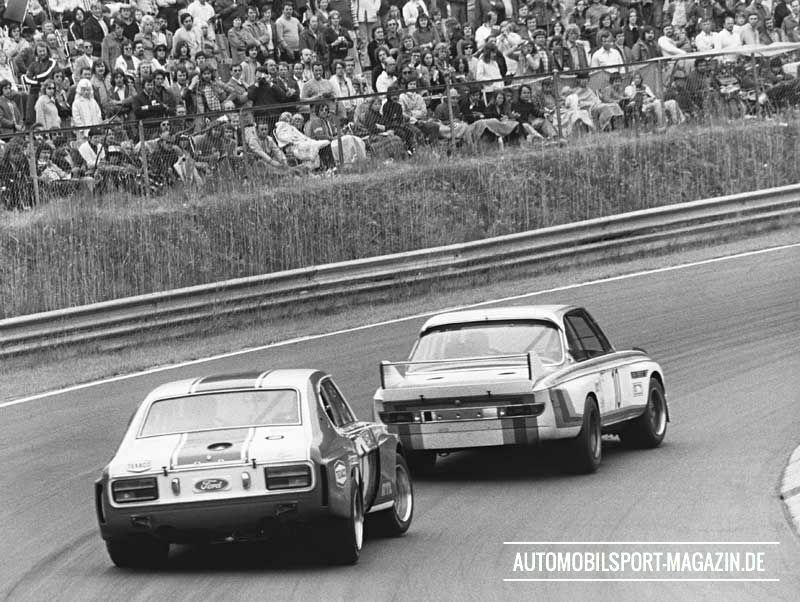 At the Zandvoort Trophy, however, I finished third together with Niki Lauda. Alpina was a different league in comparison to Alfa. 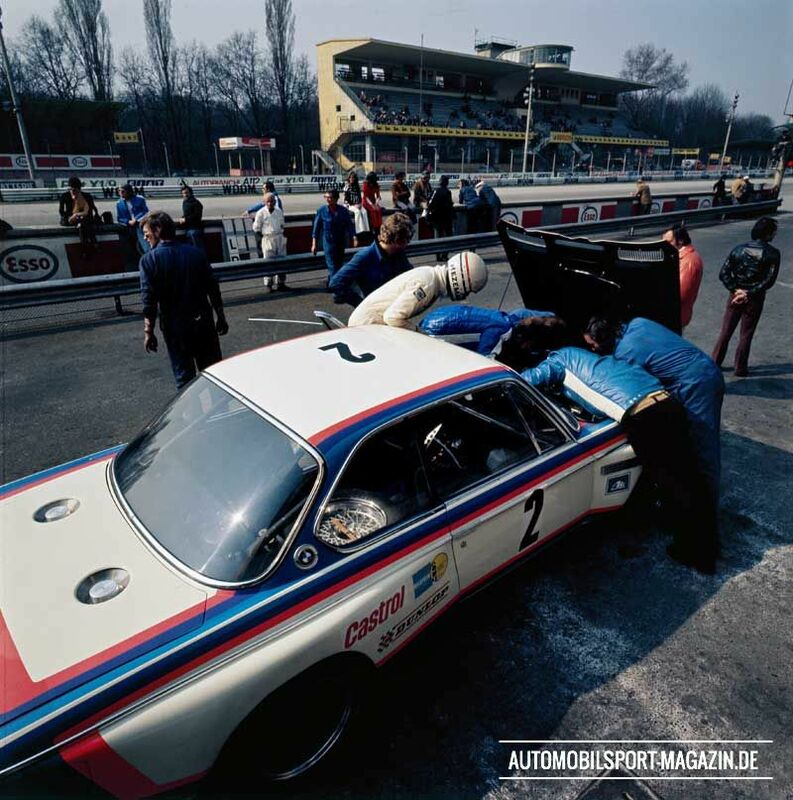 With Alpina, you got a car that looked very nice but that may not have run a single metre before the race weekend. There were no test sessions. Therefore, we had to deal with teething problems during the races. 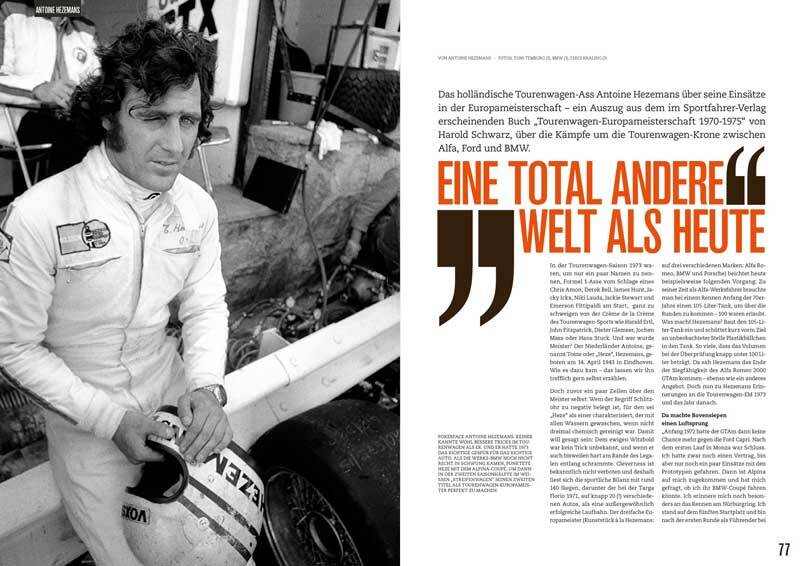 At the end of the year, Jochen Neerpasch asked me if I would like to help BMW to develop their new car. 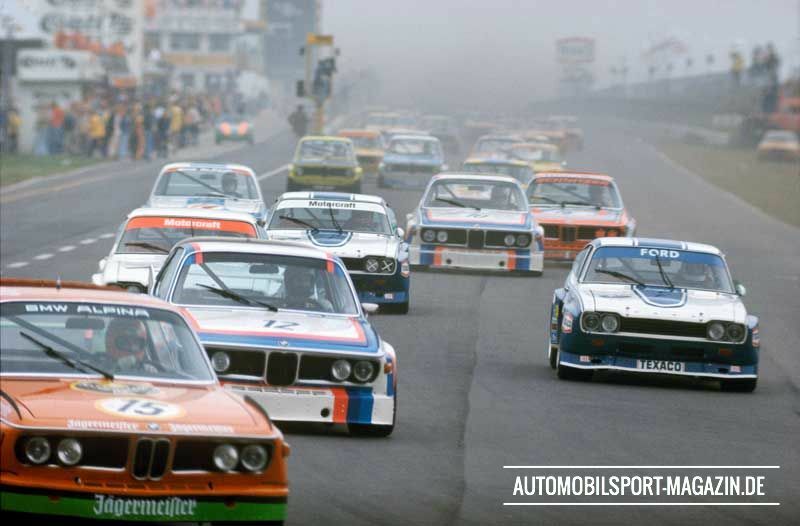 As I recall, BMW Motorsport Ltd had just opened its doors. There was Neerpasch, Martin Braungart and a couple of very good mechanics. Everything was brand new. 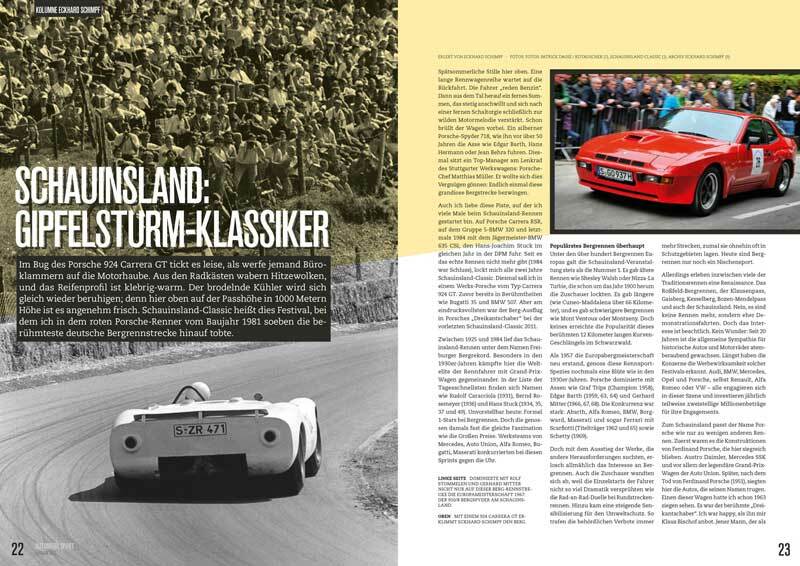 And it was important to them that I was involved in the development process, just as I had been earlier on with Alfa. 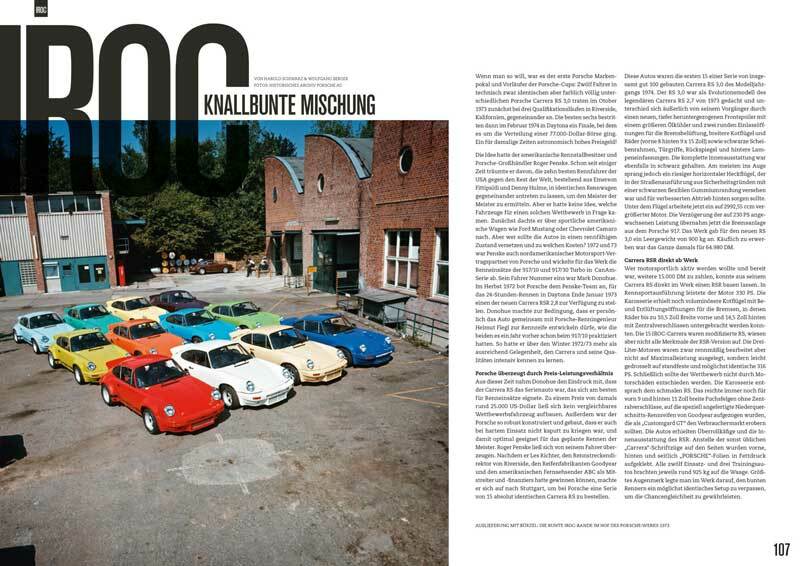 The first 3.0 CSL was ready at the end of 1972. Our first test session was held at Hockenheim, with snow covering the track. I tested continuously until April and regularly stopped by the workshop in Munich. It is a sleepy village road on the edge of the historic medieval city of Baelen. Here, an old 19th century paper mill is the home of MEC Auto. 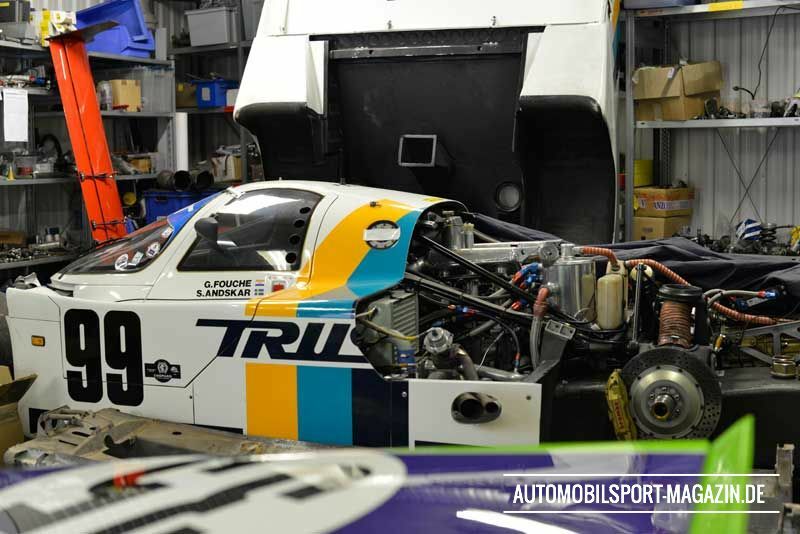 Today, legendary racecars with great history are rebuilt and maintained with expert technical skill, in a place where once paper was made and stored. During the last few decades, brothers Mike and Stéphan Kupka formed a small team of people who really know their craft. 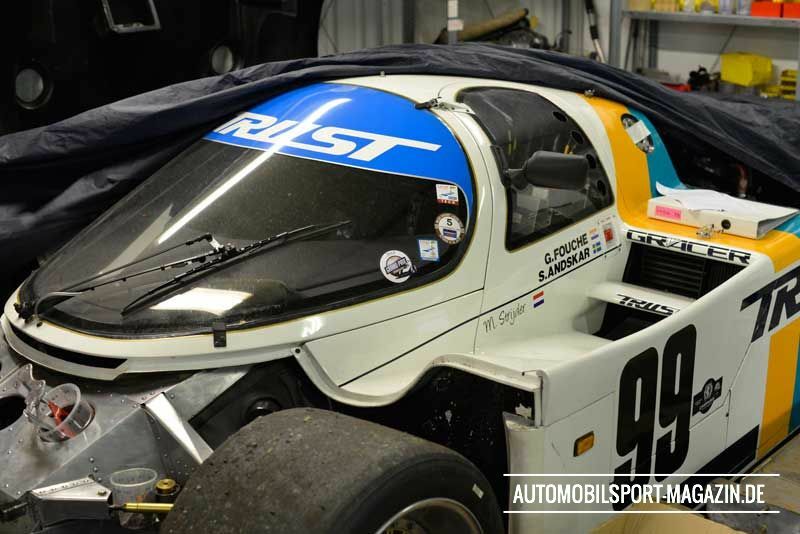 Just a couple of weeks ago, MEC added the 2014 Historic Group C Championship to the team's impressive success list, when Christophe d'Ansembourg clinched the prestigious title with his Jägermeister-Porsche 962, prepared and run by the squad. On entering the workshop you really don’t know where to look first. 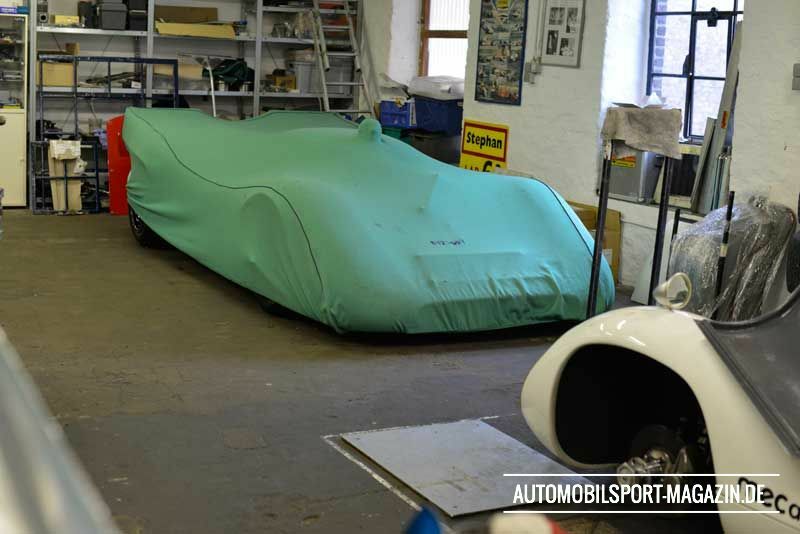 Just next to the entrance there is another Porsche 962 hidden beneath a cover. 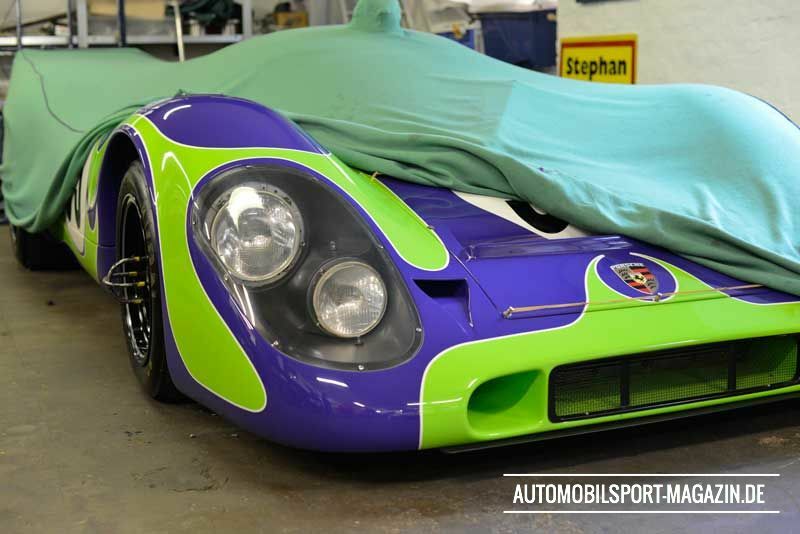 Behind it on a bogie you find a stripped Porsche 910 chassis. 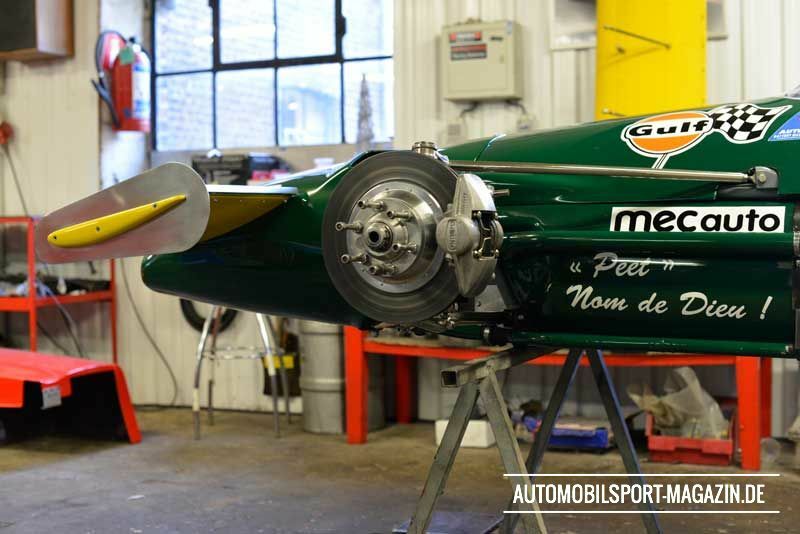 A passageway allows you to cast your eyes on the nose of a green-yellow Brabham BT26, which is jacked up and being re-assembled. "This one has been signed by Jack Brabham himself", Stéphan Kupka, the elder of the two brothers, explains with joy in his eyes. 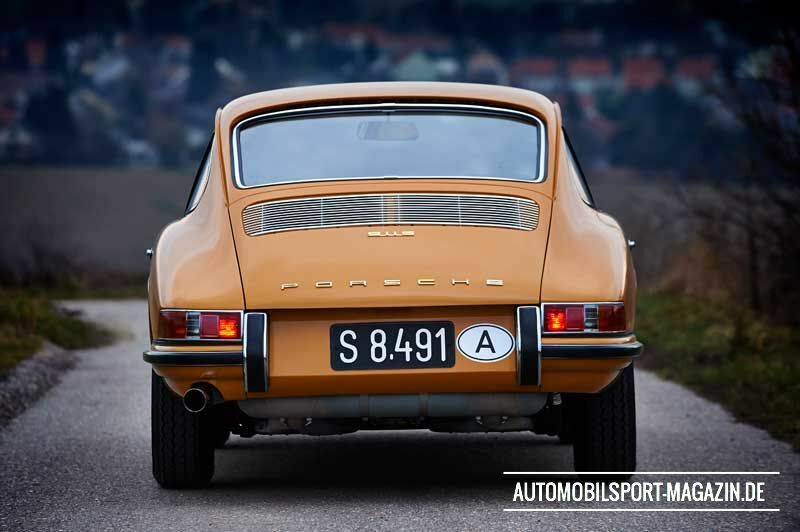 "Two years ago, we took this car to the Historic Monaco GP. Originally, this BT26 had a Repco engine fitted and it was driven by Jochen Rindt, before Jack Brabham converted it to the Ford-Cosworth DVF engine it has now. This is why there is such a huge gap between the chassis and the engine, where the extinguisher sits now." 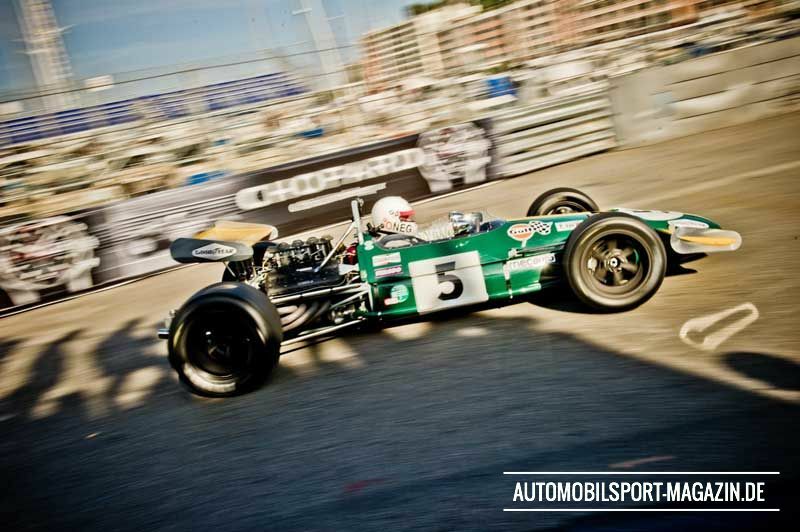 Three BT26 chassis were built; two as racecars for Brabham and Ickx, and one T-car for the 1969 Formula 1 season. 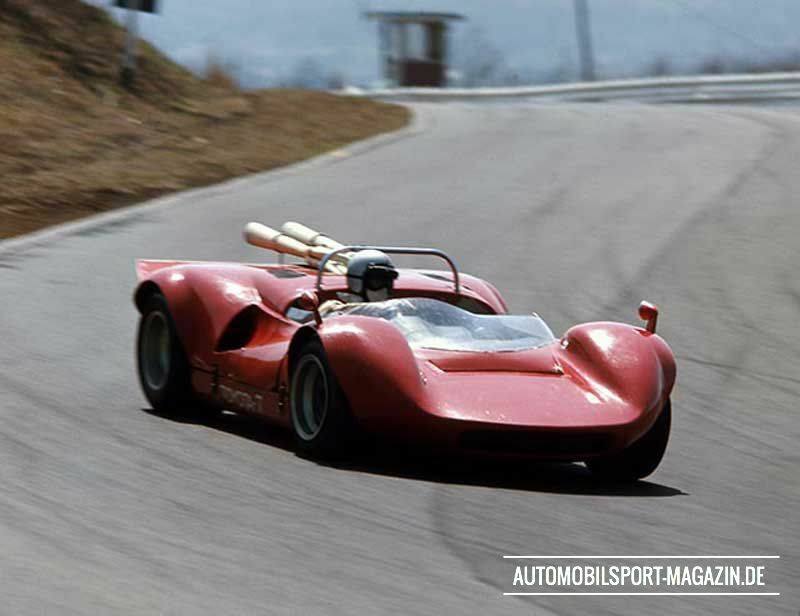 In 1970, South African Peter de Klerk drove one of the ex-works BT26 for the Gunston team. "Remnants of Ickx's car turned up during an unfortunate crash at Monaco” tells Kupka. The front of the car was splintered into more than 50 pieces after that crash. “With no more spares available, I reassembled everything like a jigsaw. 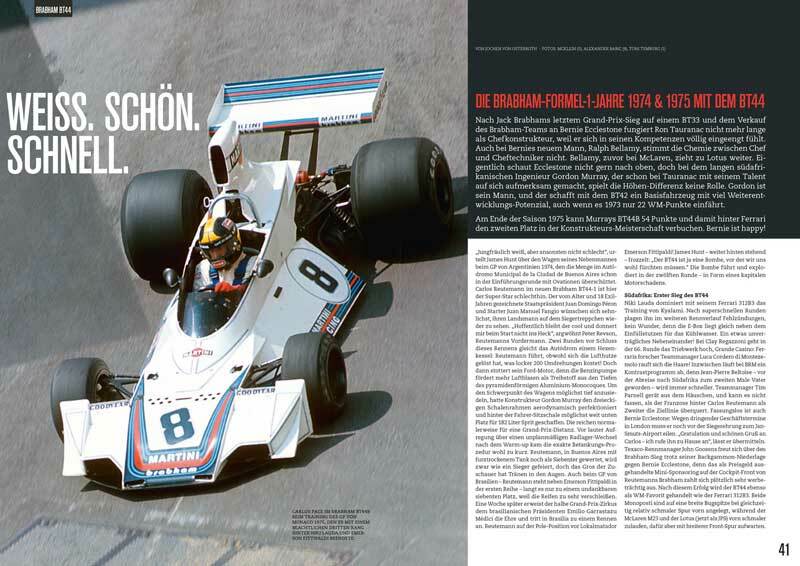 And while doing that, I found a wooden piece of the front wing whit the capital letters ’ICKX’ written over it," says Stéphan Kupka, about working painstakingly on the Brabham. 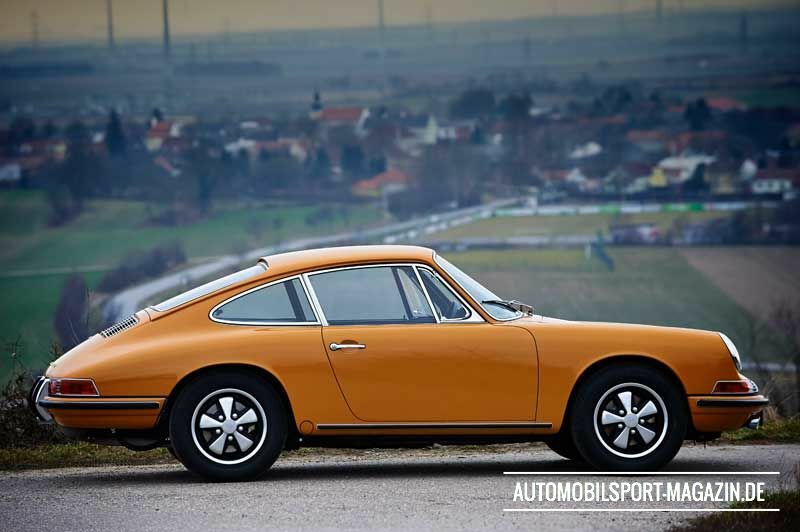 "It is a great contemporary document but it is a pity for the original nose cone of the car. 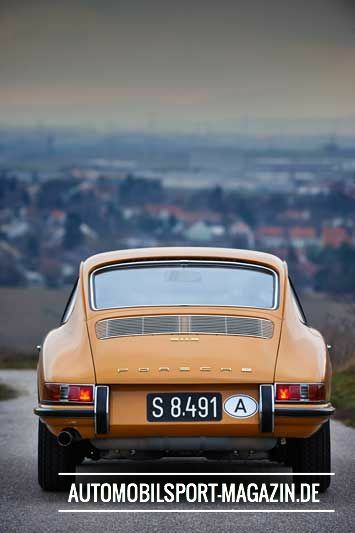 But then again, these cars have been built for racing. 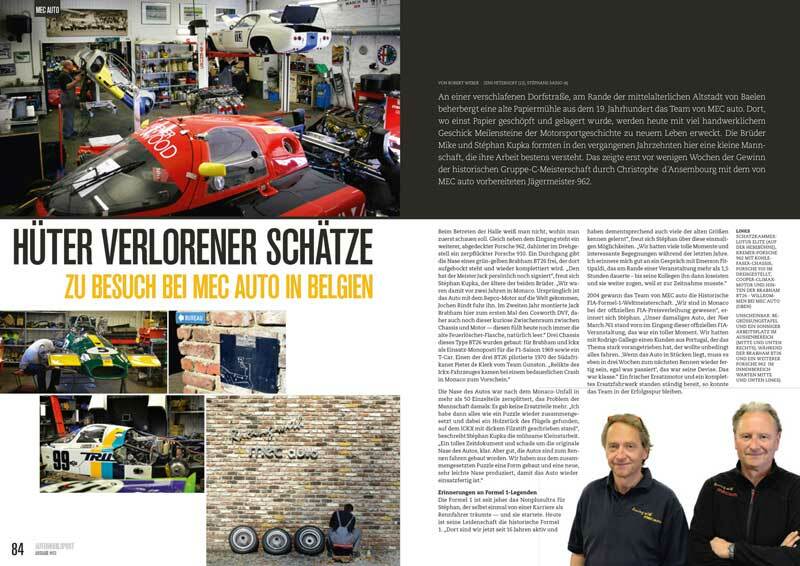 So we took the reassembled puzzle and built a negative from which we made a newer and much lighter nose to have the car operational again." Formula 1 has always been the ultimate discipline for Stéphan, who once dreamed about becoming a race driver himself, which led to him starting out in the cockpit. 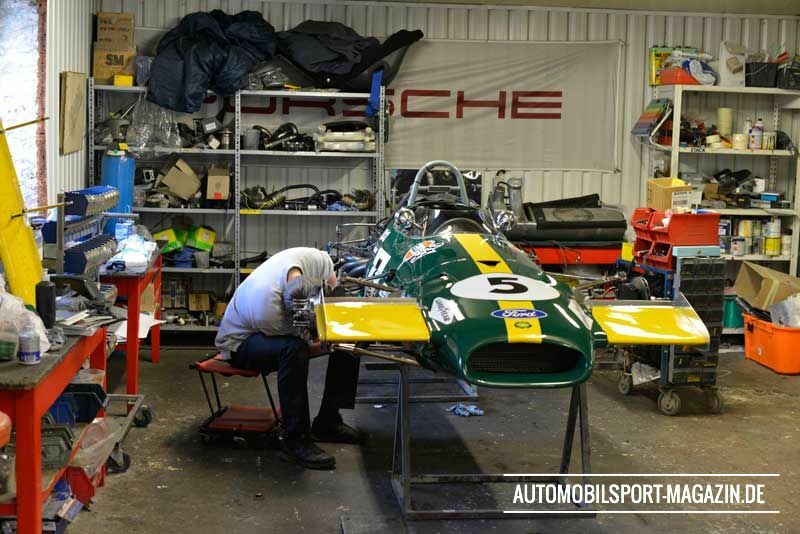 Today, however, his passion is operating and rebuilding historic Formula 1 cars. 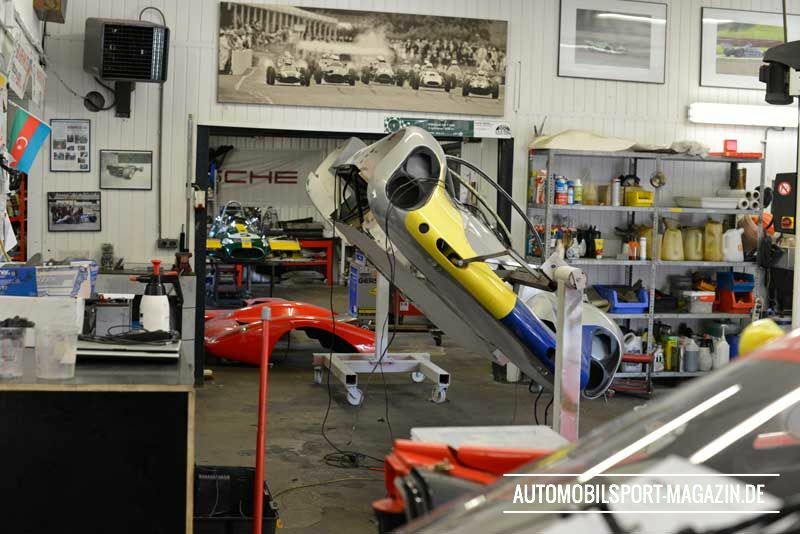 "We have been working in historic F1 for 16 years now. And because of that we got to know quite a lot of the big names from the past,” Stéphan says, about some of his once-in-a-lifetime opportunities. "We had a lot of great moments and interesting encounters during the last couple of years. 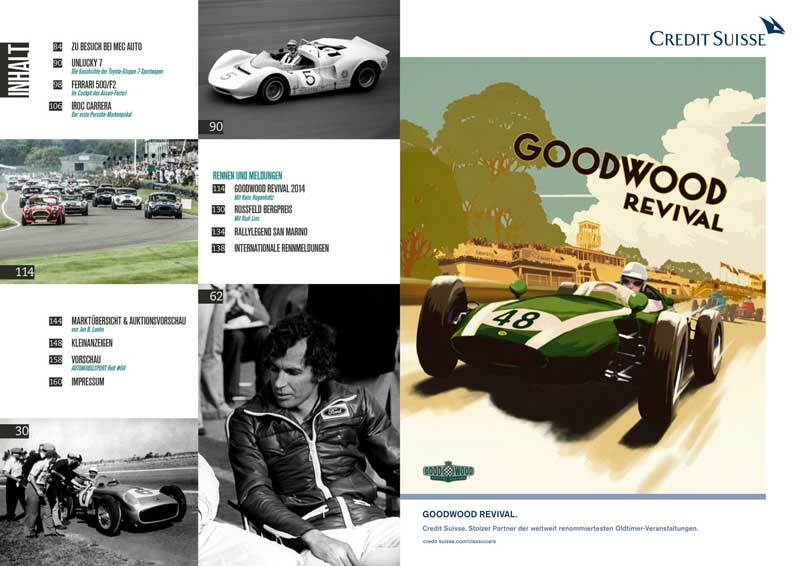 I still remember a chat with Emerson Fittipaldi, for example. We spent more than 90 minutes talking once talking during an event, before his colleagues came to get him because he was already way behind his schedule. 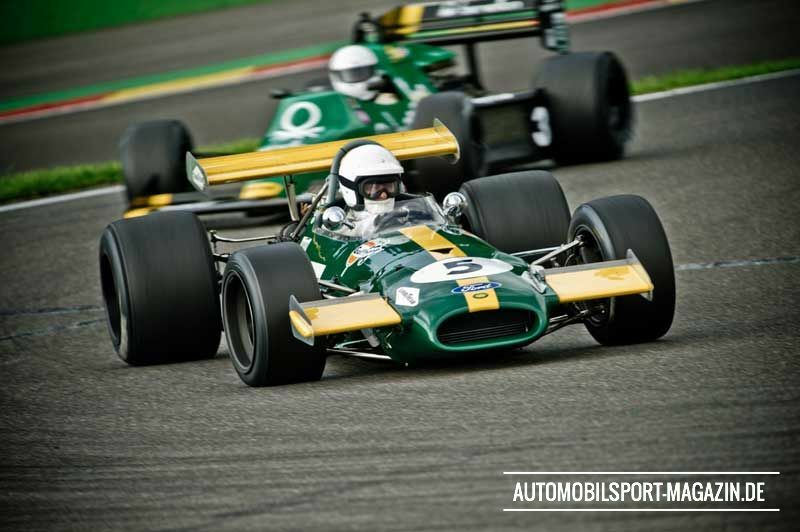 In 2004, the MEC Auto team won the FIA Historic Formula 1 World Championship. 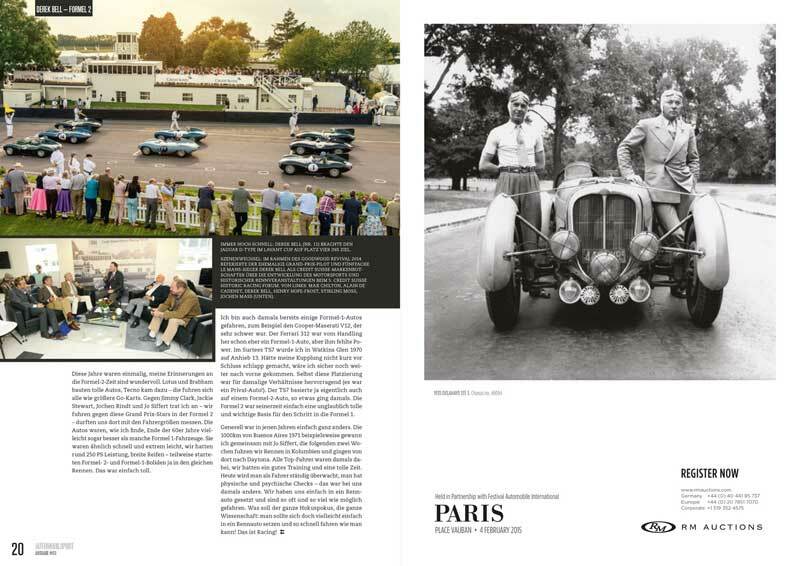 "At the end of the year, we were at Monaco for the official FIA price giving ceremony," Stéphan recalls. 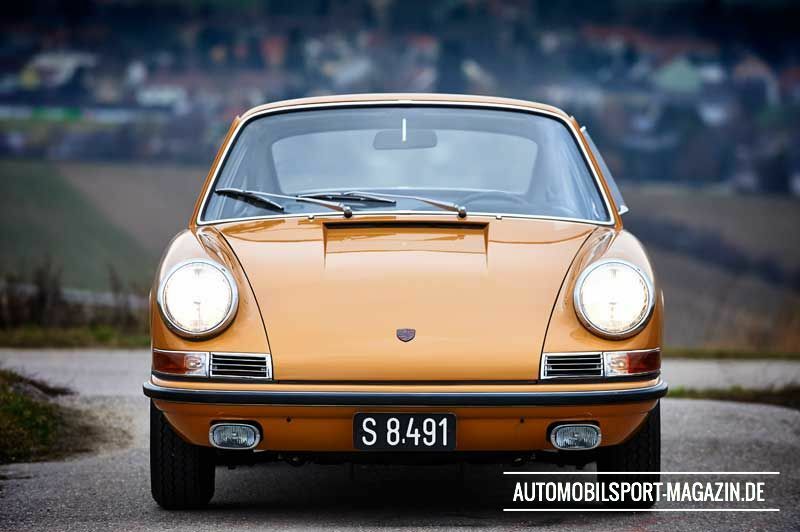 "The car we used back then, a 1976 March 761, was positioned right at the entrance to the event. That was a great moment for us. With Rodrigo Gallego we had a customer from Portugal, who pushed for getting this project going in a very professional way. 'If the car is broken, it has to be repaired and ready again in three weeks' time for the next race, no matter what it would require.' This was the name of his game. It was great." 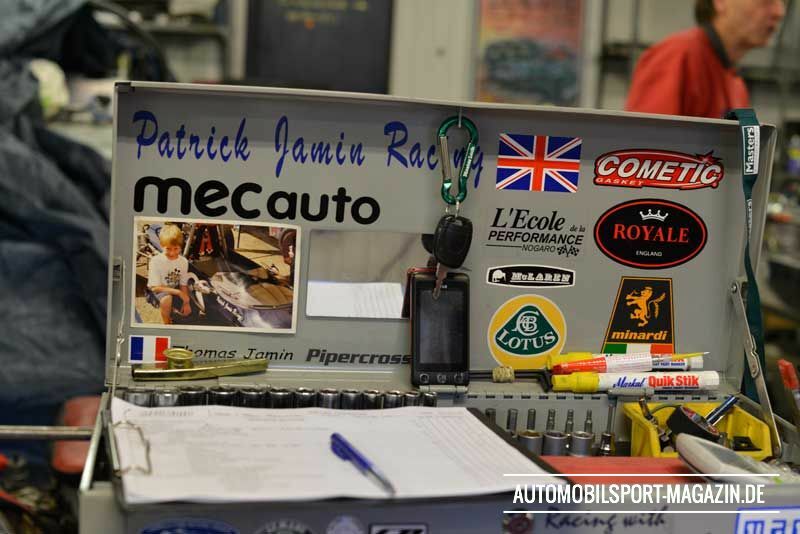 With no expenses spared and in a most professional way, MEC had a fresh spare engine and a complete spare chassis in the back of its truck for the whole of the season. When modern Formula 1 first went to Bahrain in 2004, a Historic F1 race was held as a side show, which led to MEC entering the March. 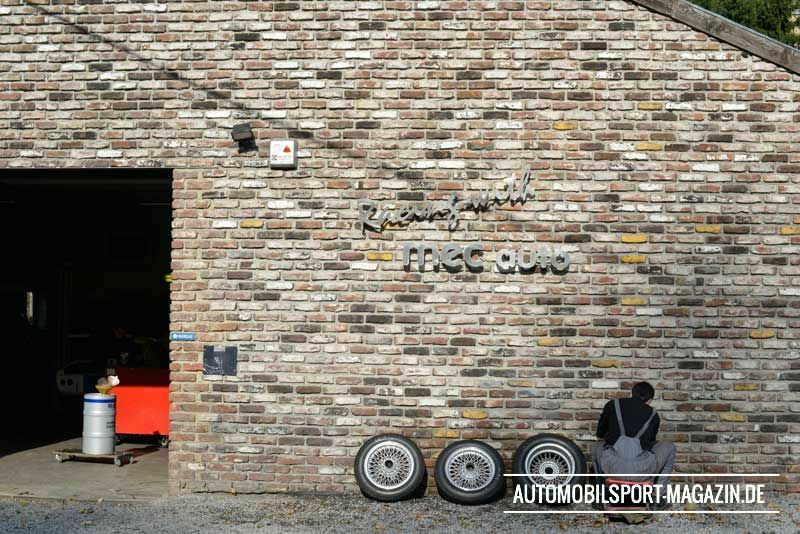 "After a battery failure the March was towed away with a marshal sitting in the car and another driving the tow vehicle in front", says Stéphan who is still agitated by the thought of the scene. "The two of them could not work out which way to go, uphill or downhill. In the end, they managed to roll our March while we were waiting for the car to get back in the pits. But there was nothing to be seen. Then, Bernie Ecclestone himself came to see us and told us the March would be delivered at any moment now. 'Let’s have a look at it when its back,' he said. Next our car arrived, having been rolled over in the sand. It looked like a breaded escalope; no oil was left in the car. It was a terrible sight. But Ecclestone said: 'We’re sorry about that. Please give us a quotation for the repair and have the invoice send to us. 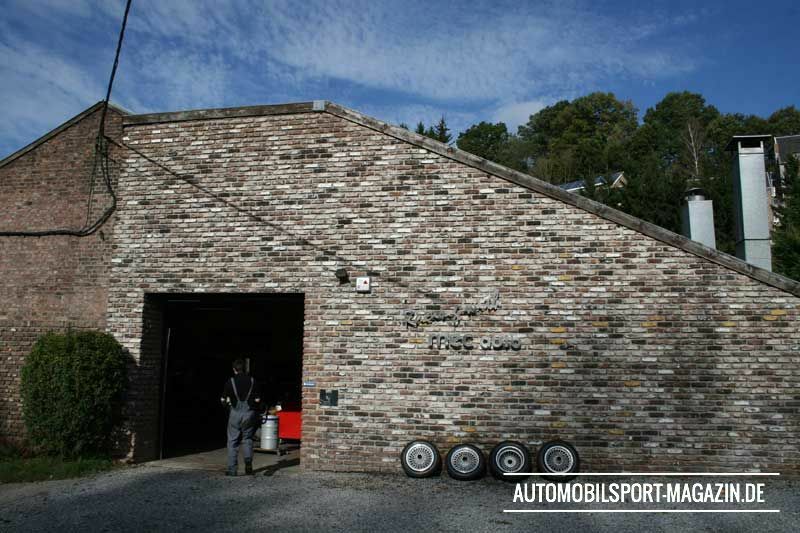 If you need any help here you can go and ask any Formula 1 team. They have been briefed accordingly and will give full support.' After long hours of work we managed to get the March repaired and back on track. 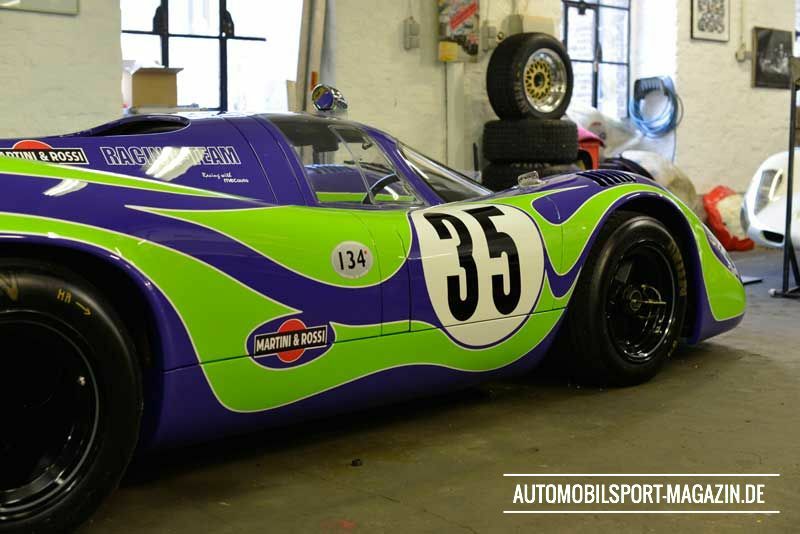 Our bill was paid to the last cent…"
Mentioning ‘Group 7’ to any racing enthusiast will result in shining eyes and fond memories of the glory and unrestricted days of Can-Am. 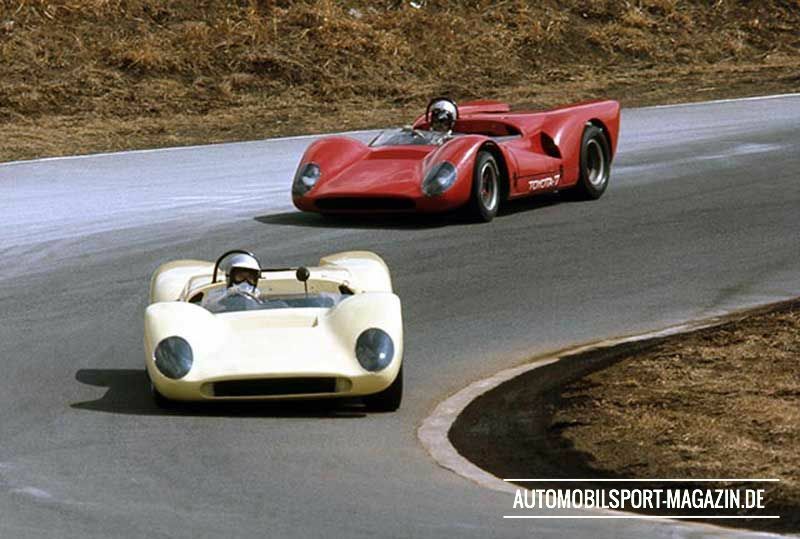 Memories of McLaren, Shadow, Chaparral and turbo-charged Porsche 917s racing in North America. 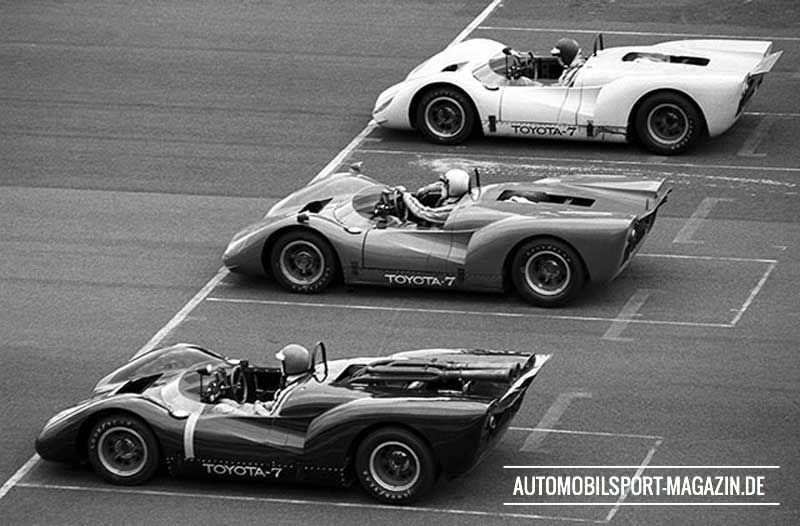 Toyota intended its name to be added to this list with its gorgeous Toyota 7 sports car but tragically it failed in its attempt to race this ambitious car in Can-Am. 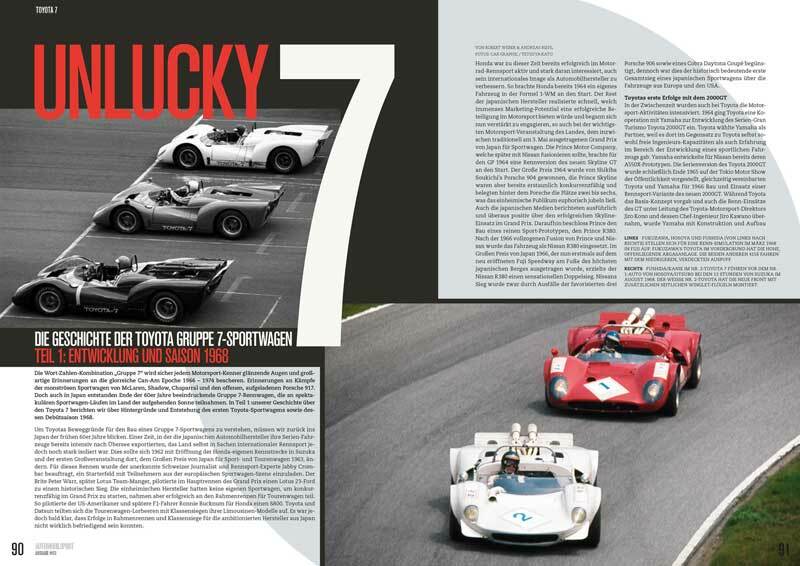 Read the story behind the fascinating Group 7 races in Japan and Toyota’s first sports car design. 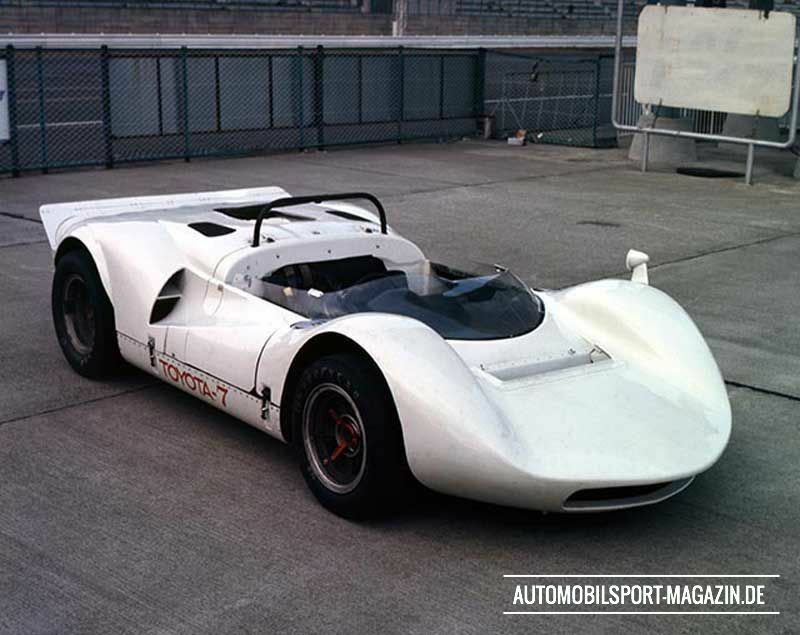 To understand the motivation and background for Toyota to build a monstrous Group 7 sports car we need to go back to the early 1960s, a time when Japan started to get serious about exporting its road cars, but was still very much isolated from international car racing. 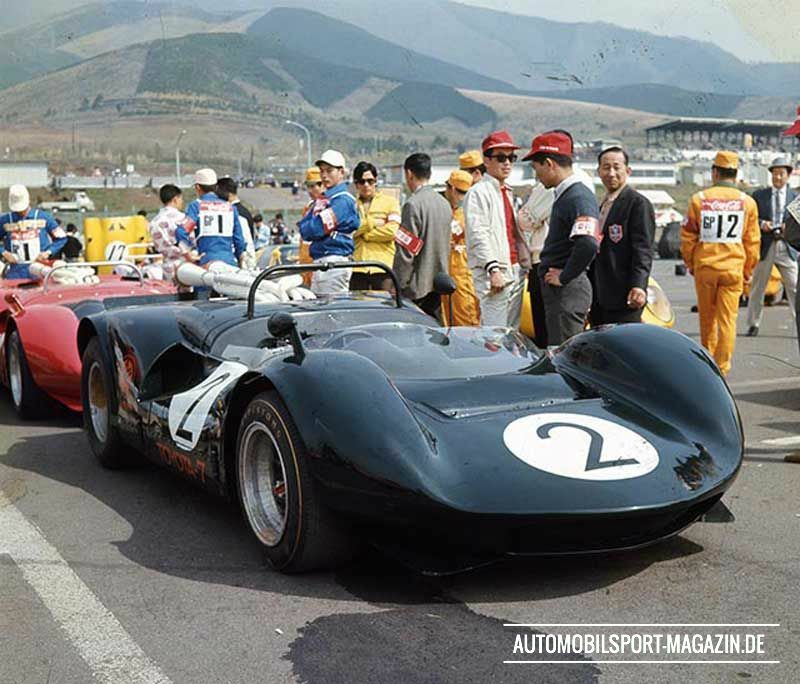 Things changed with the opening of the Suzuka circuit, Honda’s own test track, in 1962 and the first major race event held there, the 1963 Japanese Grand Prix for sports and touring cars. 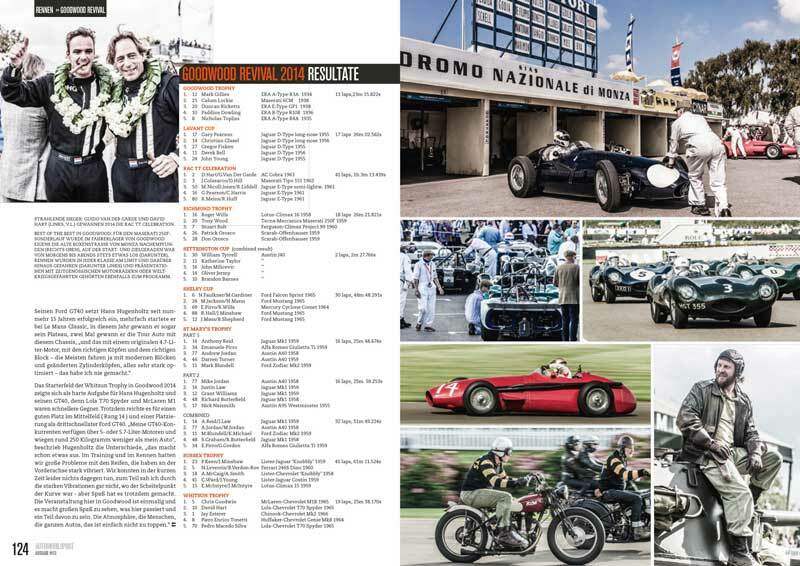 For this, well-respected Swiss journalist and enthusiast Jabby Crombac was asked to put together a field of European sports car entrants. Englishman Peter Warr, who later became the Lotus Team Manager, took a historic win in the main race driving a Lotus 23-Ford. The local manufacturers had no sports cars to race with, but competed successfully in the touring car classes. Toyota and Datsun shared honours in the different touring car categories with their sedan models. 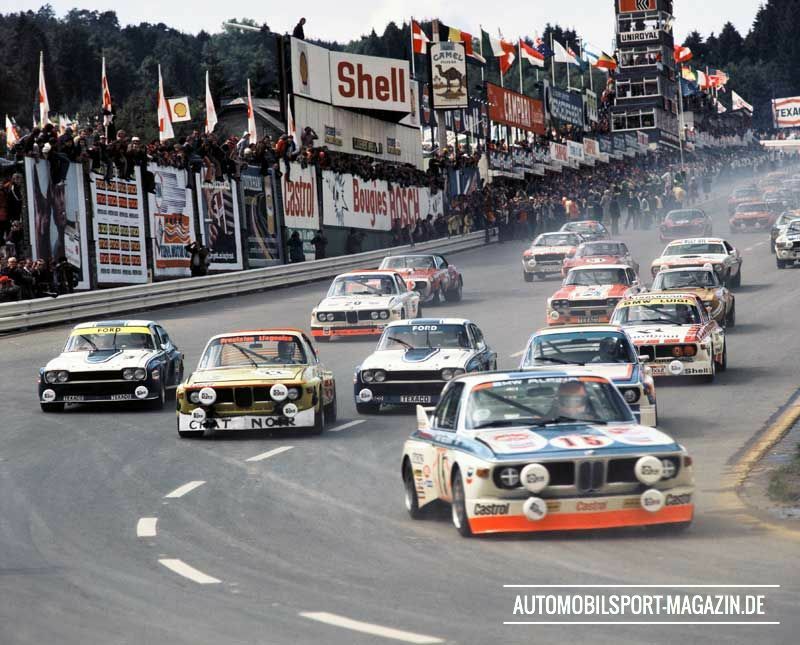 But it soon became clear that touring car class wins alone would not be satisfying enough for the local car manufacturers in the land of the rising sun. Location: The 'Maxing Stüberl', a popular pub in Maxingstrasse in Vienna-Hietzing, near the Schönbrunn royal gardens. 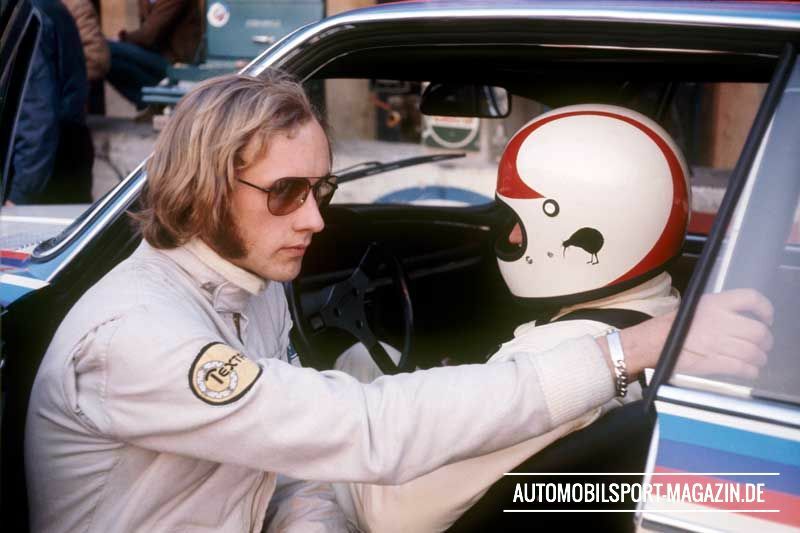 Who: Jochen Rindt and Erich Glavitza, enjoying dinner together. On the table, an aromatic roast, and two half-full bottles of mineral water. The atmosphere in the pub is good and relaxed. 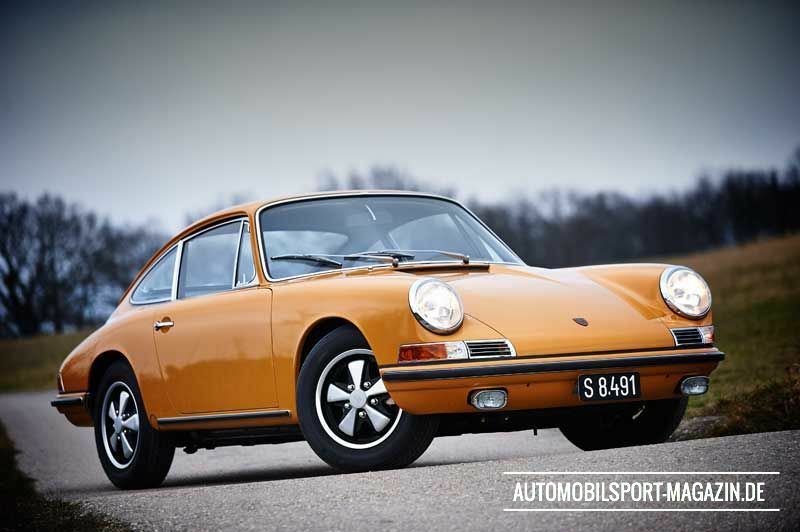 Rindt has just picked up a yellow-orange 911 S from Porsche Salzburg as his new private coach. 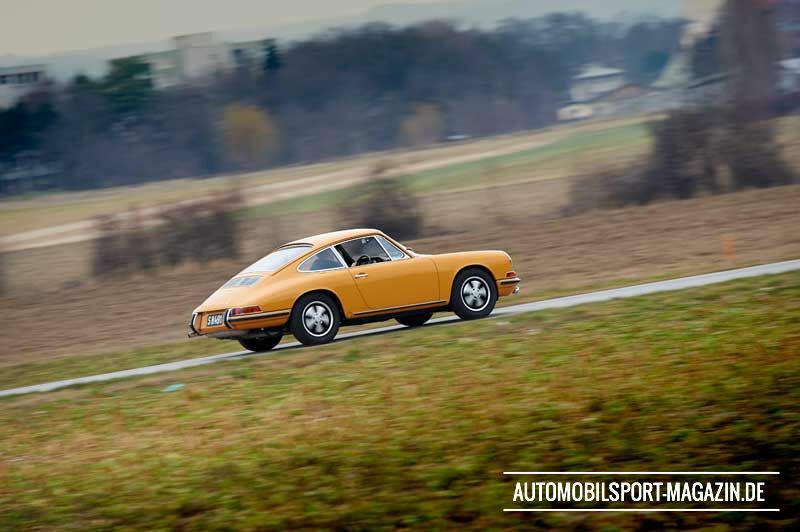 As he chewed on his roast dinner, Jochen spoke about his new 911. 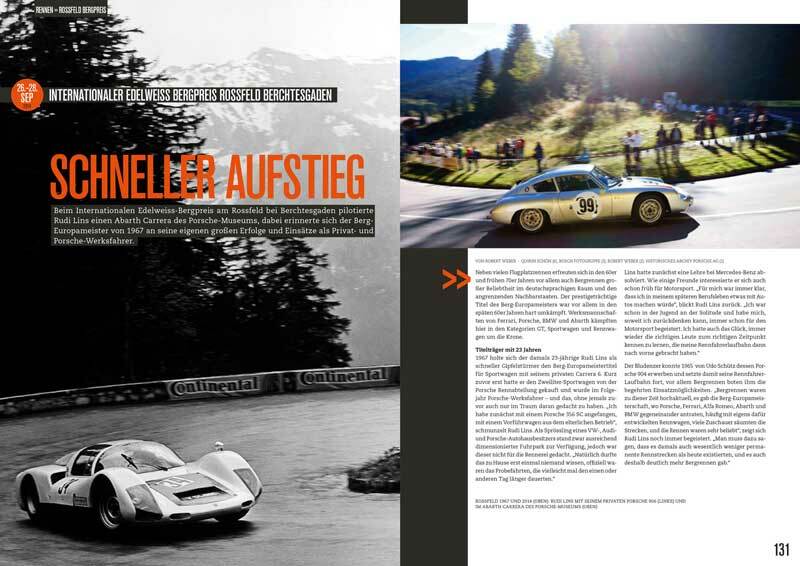 He said the 'Neinöffa' (Austrian slang for nine-eleven) was sensational, barely slower than his Brabham BT23 C Formula 2 car. He noticed that I didn't quite buy what he was saying, and added “believe me, you've never driven anything like it.” I found it difficult to disagree; my usual drive was my mother's yellow VW Beetle, although that day I had a test car from Daimler-Benz in Austria, a Mercedes 200D painted in mouse grey camouflage (we mustn't forget that at this time the Cold War was at its height, and Nikita Khrushchev was banging his shoe on the podium at the UN … anyway that's a different story). So the Merz'l, as the Viennese called a Mercedes, had a steering wheel that was about the same size as the one Christopher Columbus used on the Santa Maria, as well as breathtaking acceleration – probably similar to a very long freight train starting from zero speed. Jochen looked at me, somewhat surprised. After all, nobody had dared not take him seriously on the subject of cars before. He stood up, wiped his mouth with a serviette and waved at the bar maid. 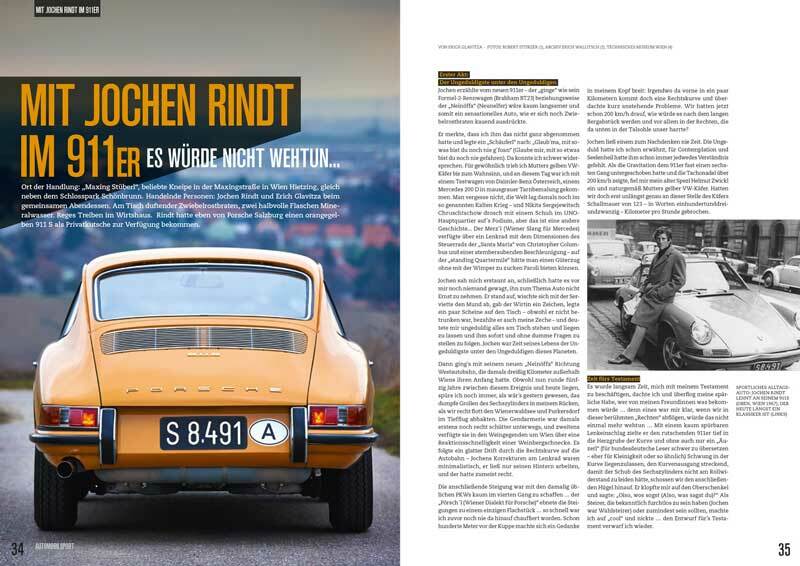 Then Rindt threw a few notes down on the table – he paid for my dinner even though he wasn't drunk – and impatiently instructed me that I stand up and follow him immediately to the door, no dumb questions. 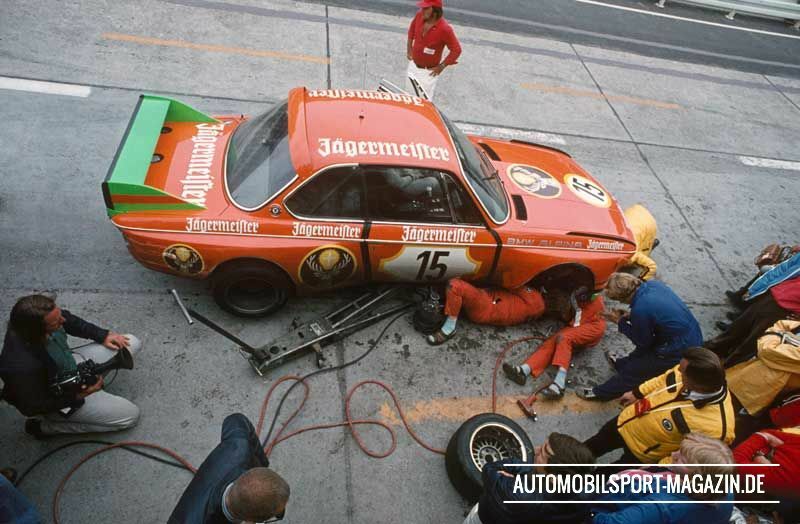 During his time, Jochen was the most impatient of all the impatient people.